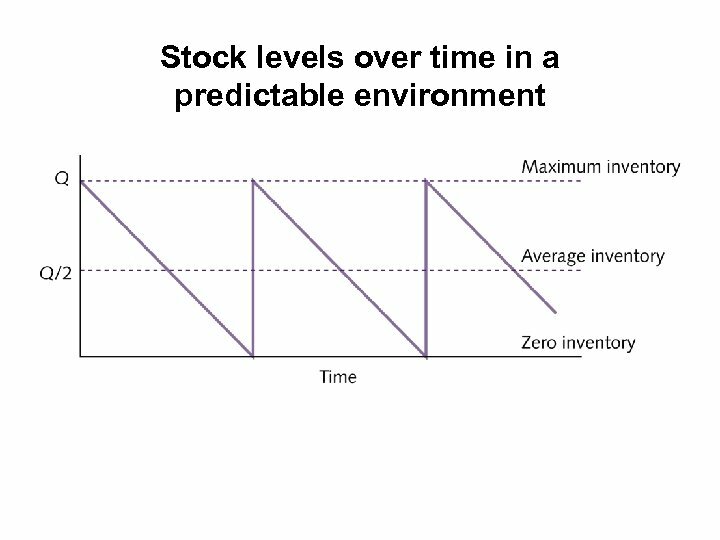 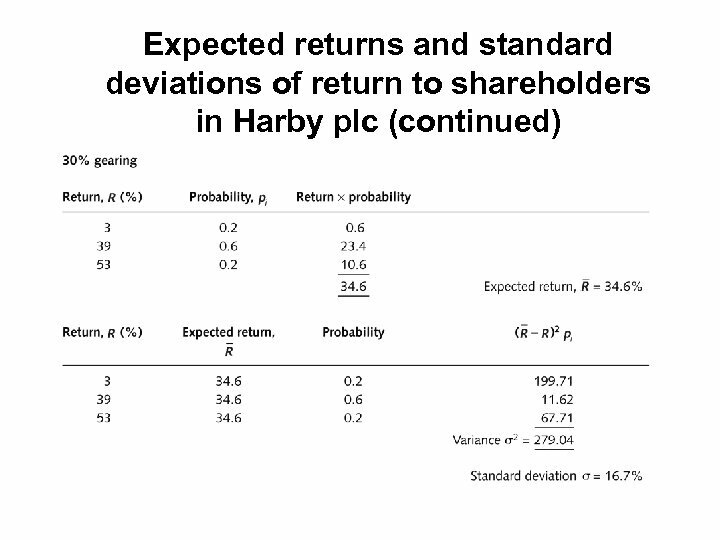 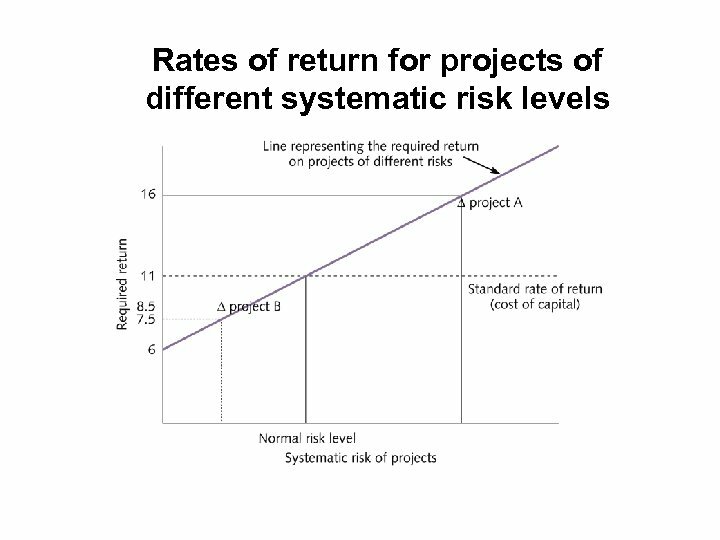 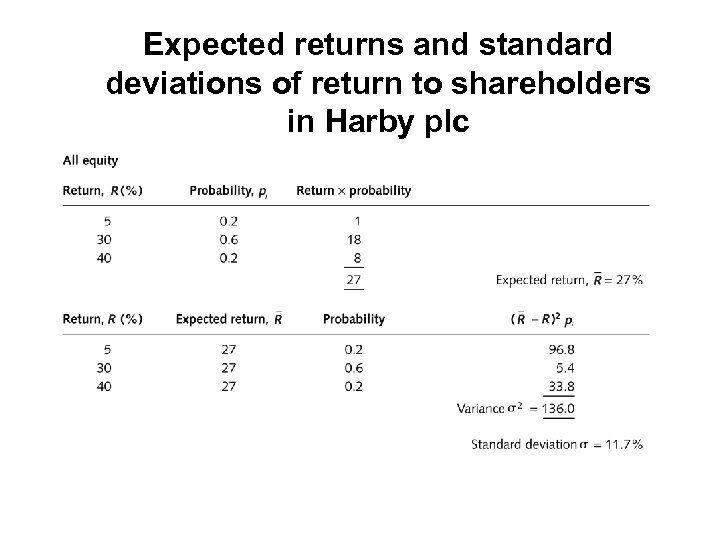 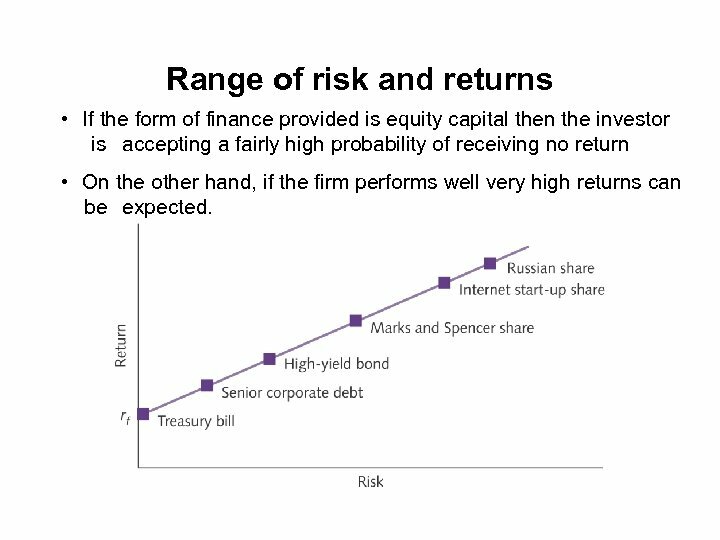 Range of risk and returns • If the form of finance provided is equity capital then the investor is accepting a fairly high probability of receiving no return • On the other hand, if the firm performs well very high returns can be expected. 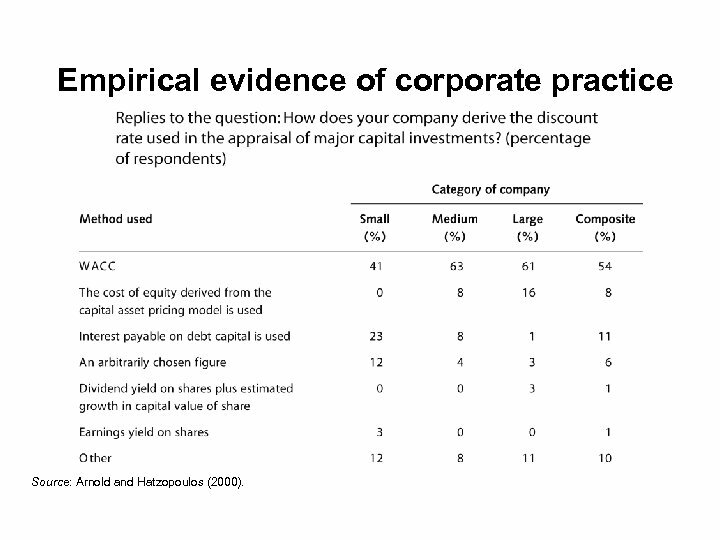 Empirical evidence of corporate practice Source: Arnold and Hatzopoulos (2000). 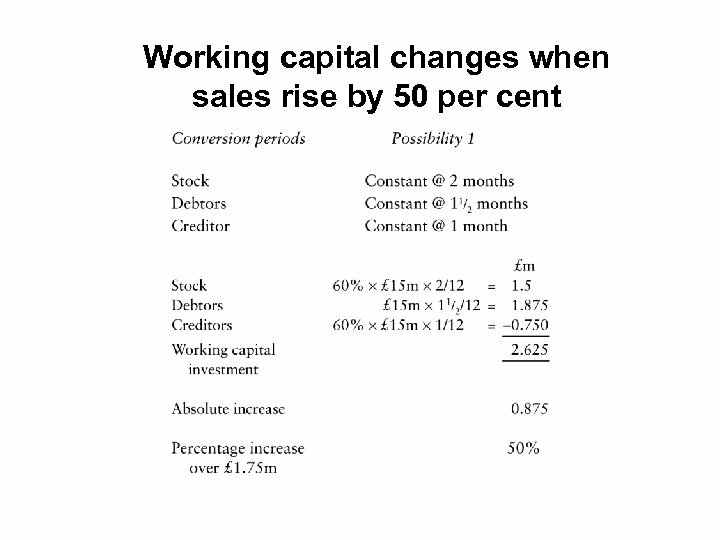 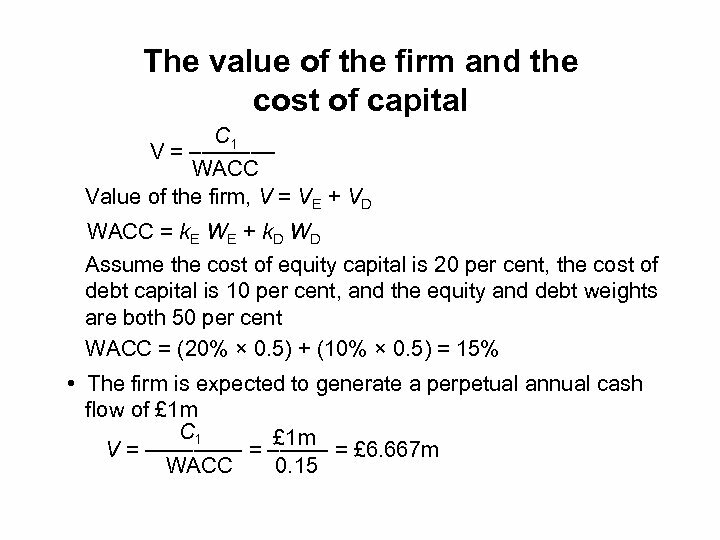 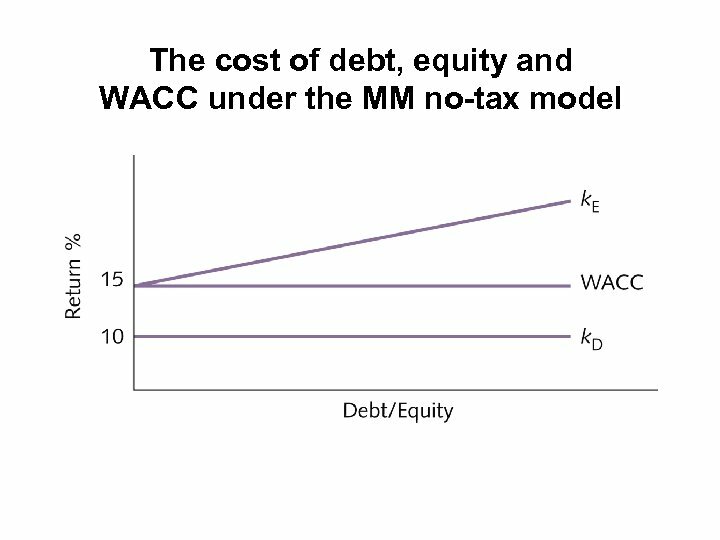 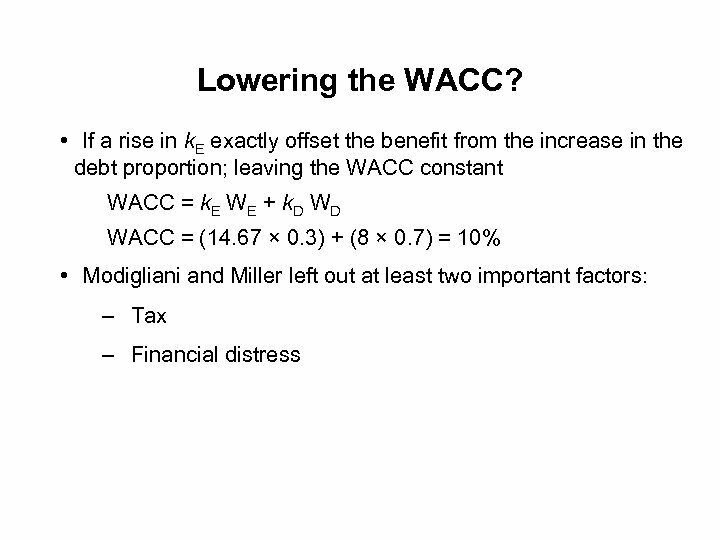 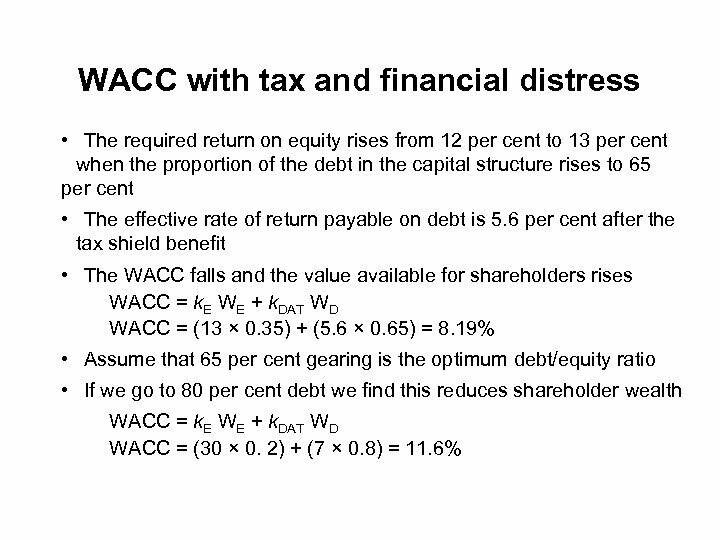 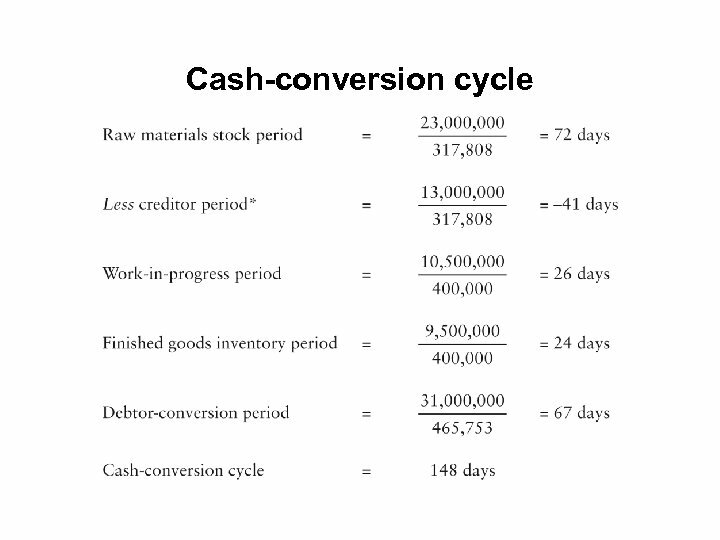 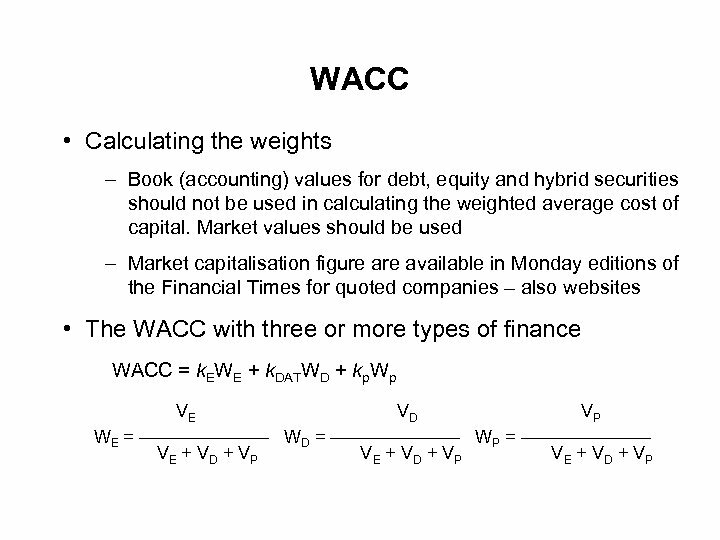 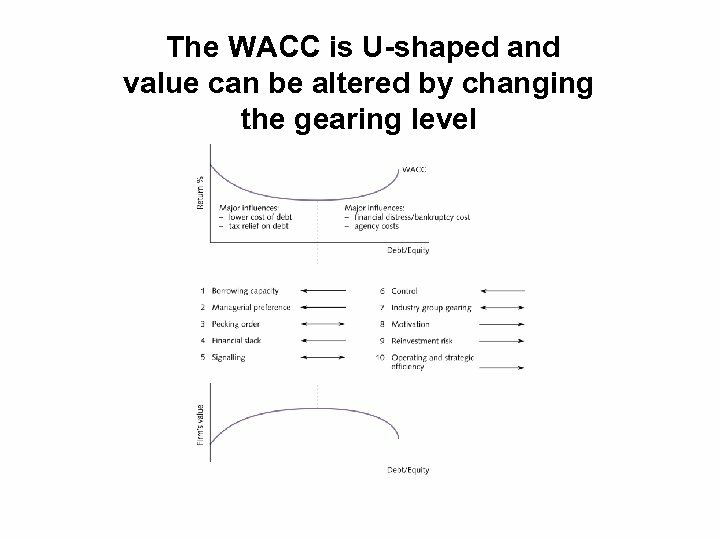 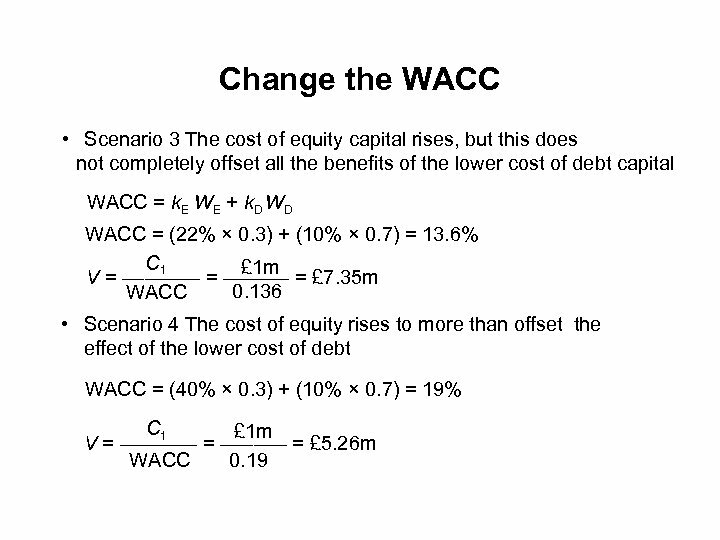 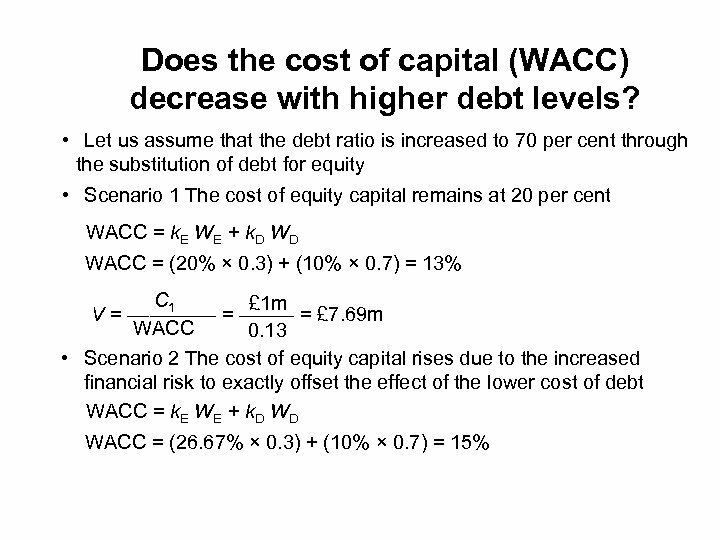 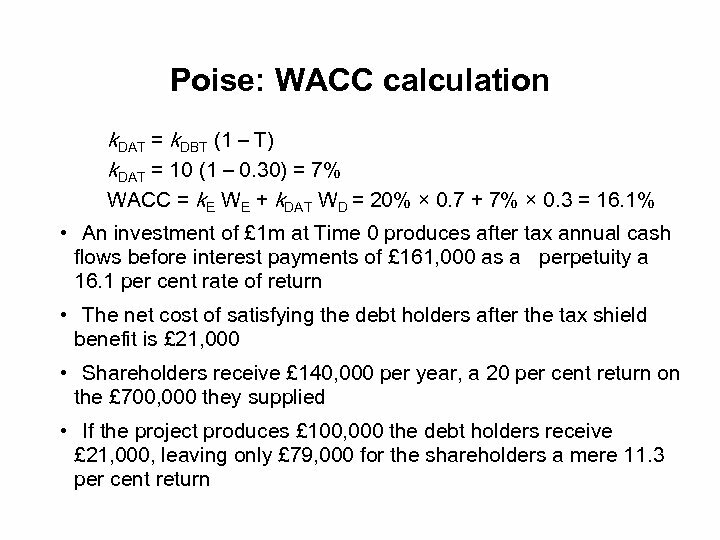 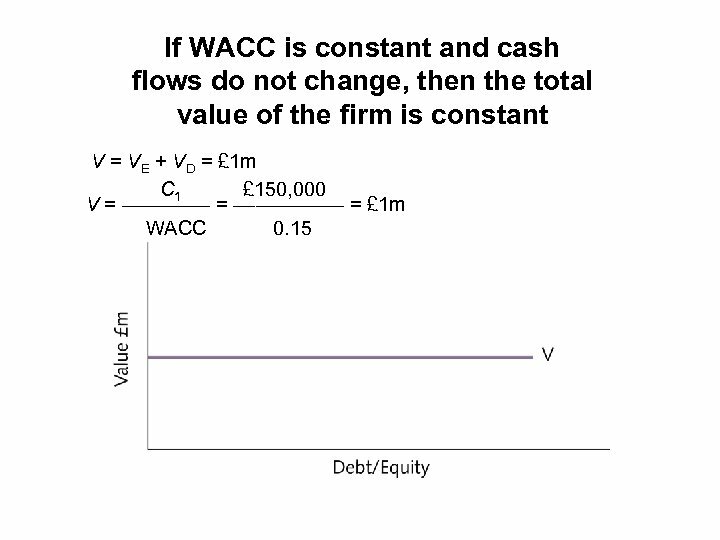 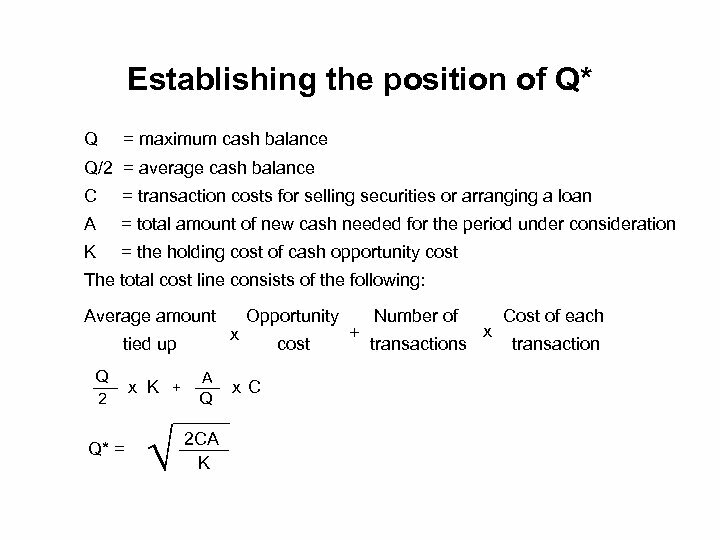 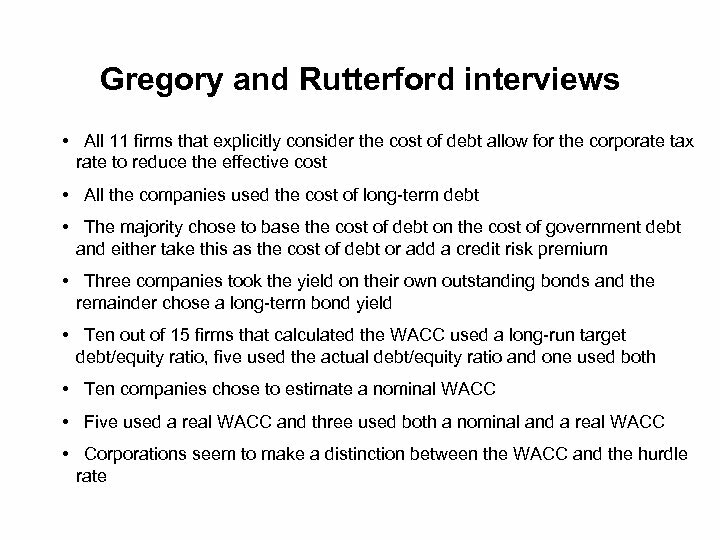 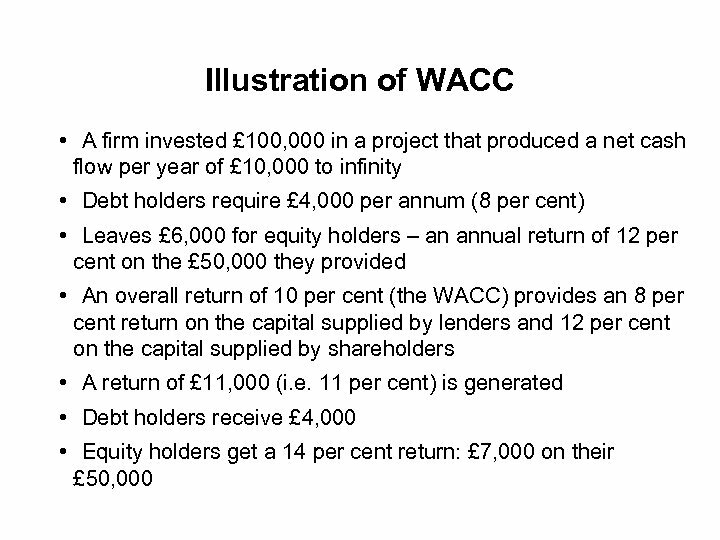 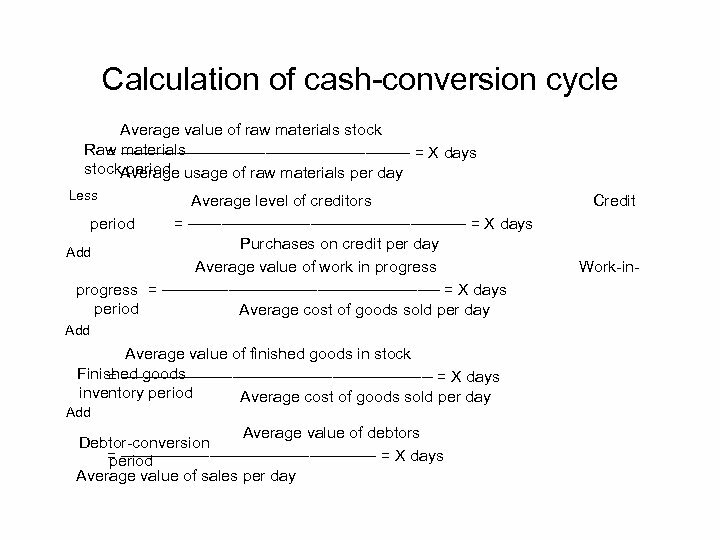 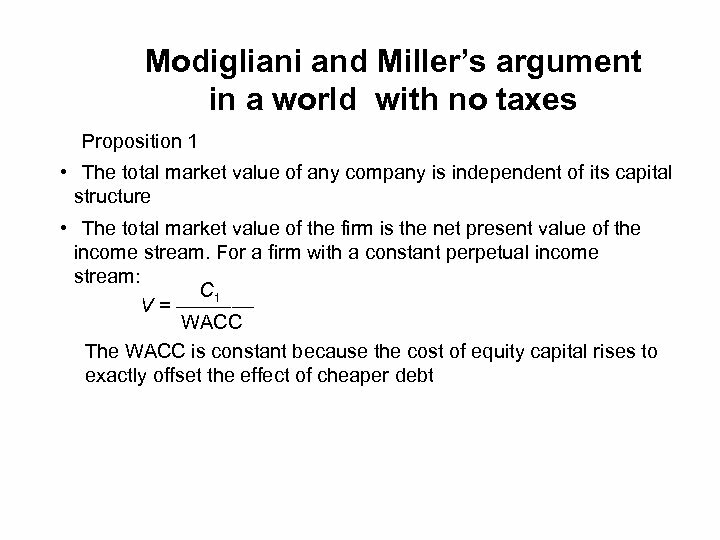 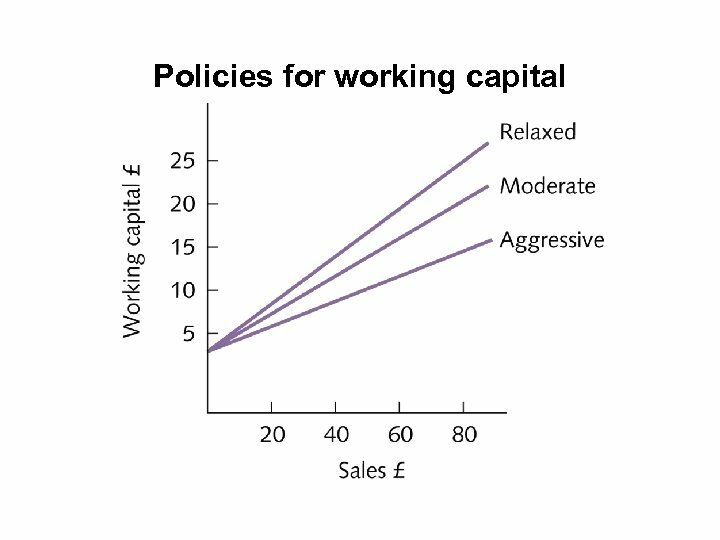 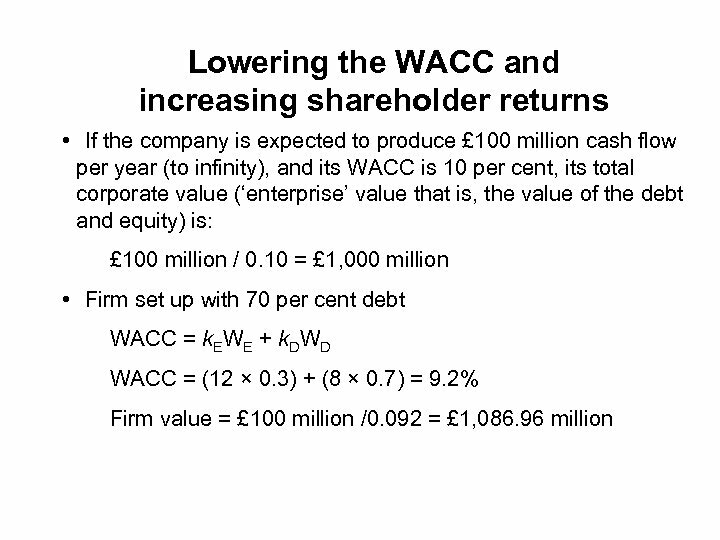 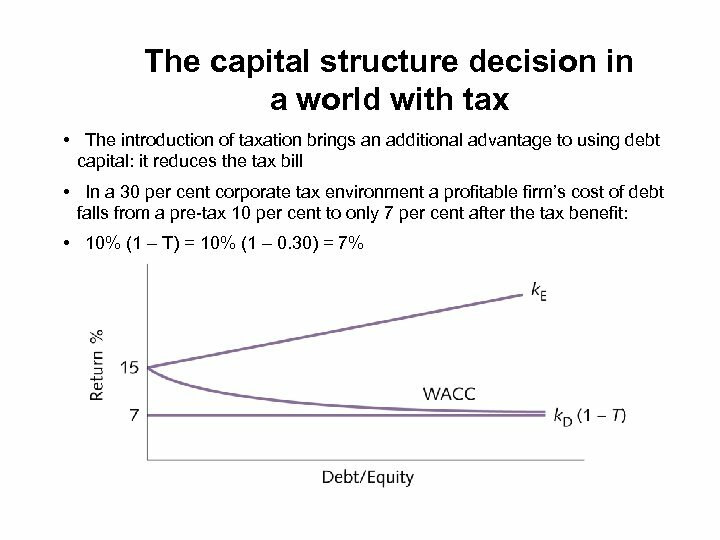 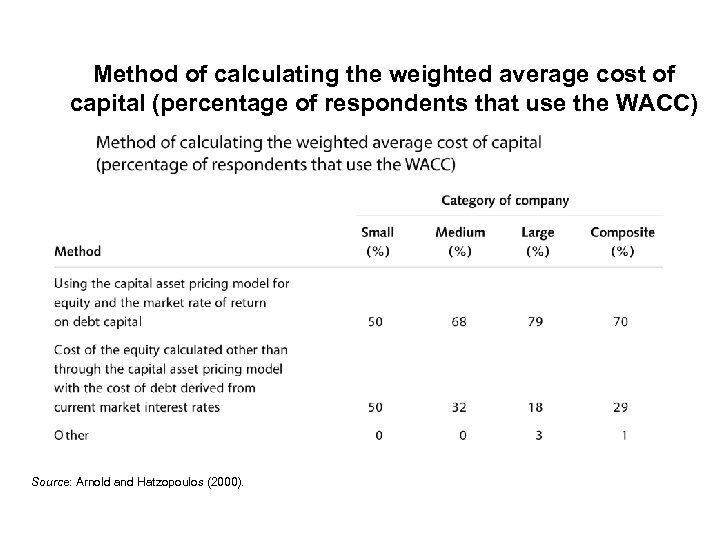 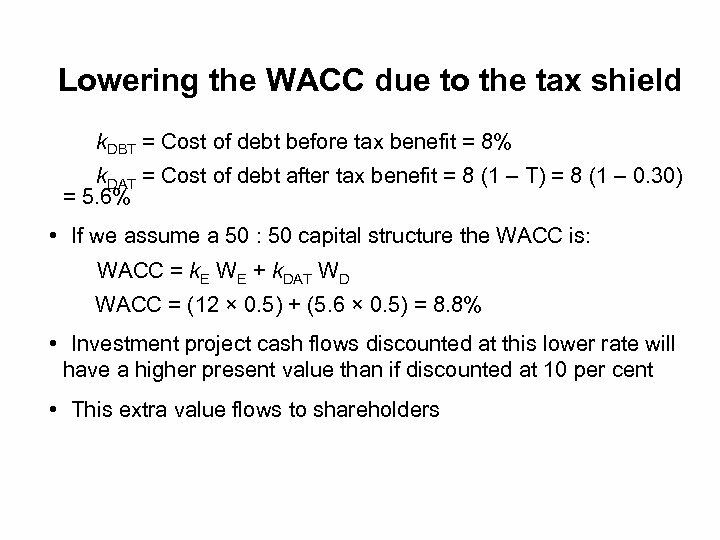 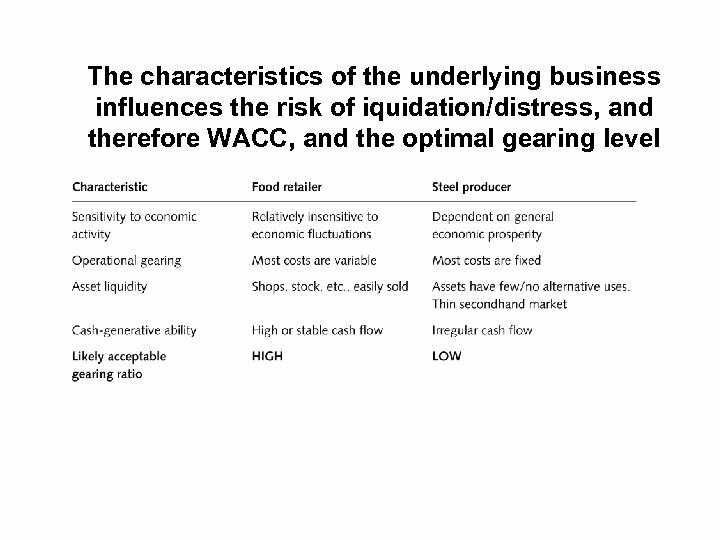 Method of calculating the weighted average cost of capital (percentage of respondents that use the WACC) Source: Arnold and Hatzopoulos (2000). 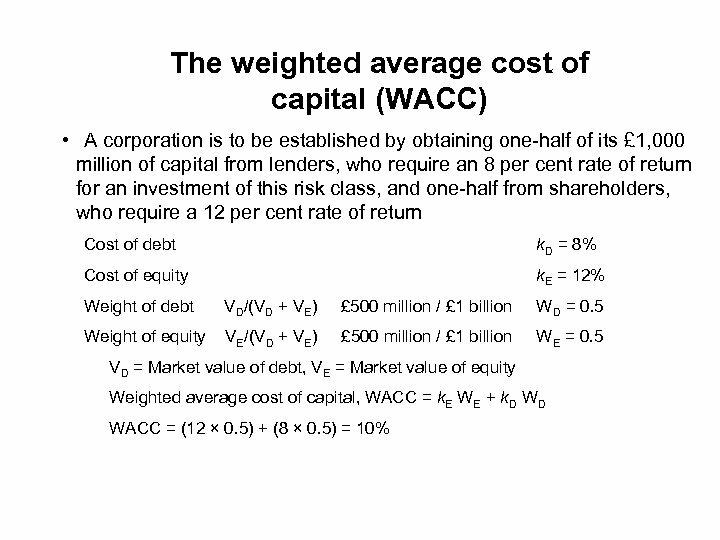 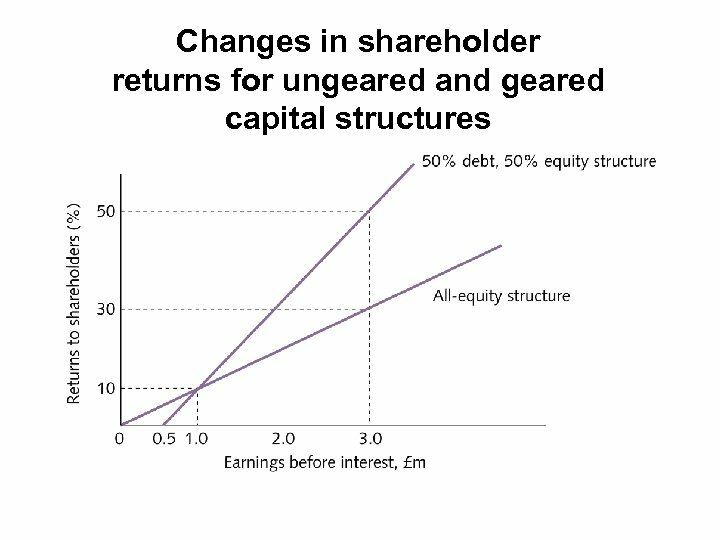 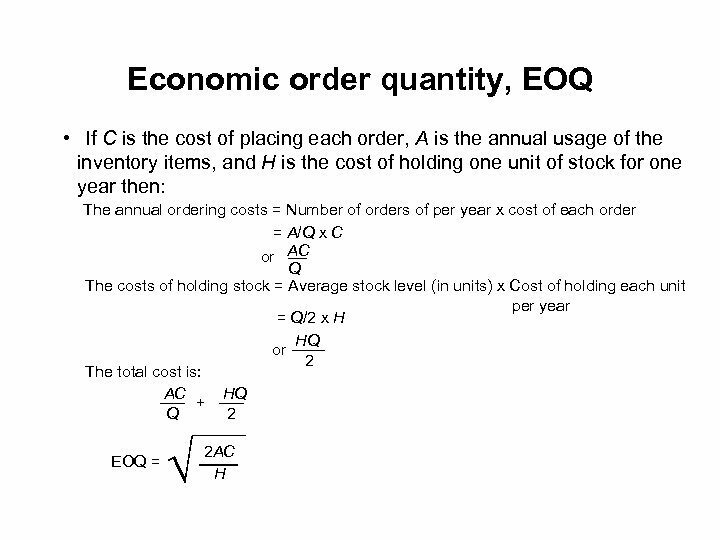 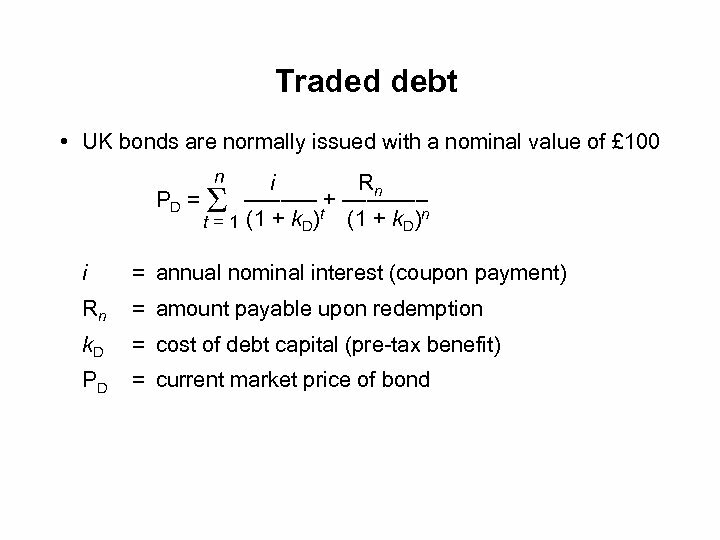 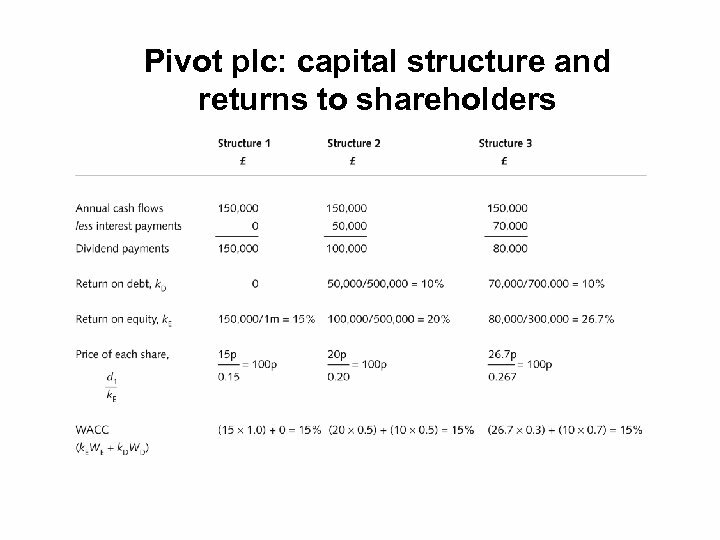 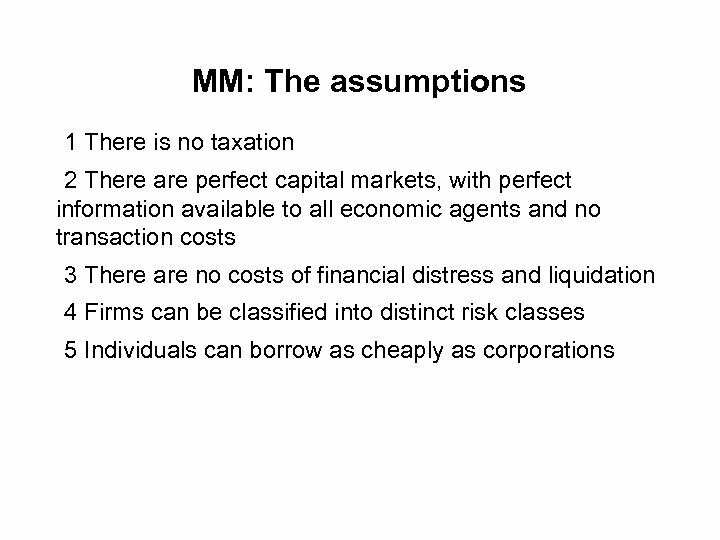 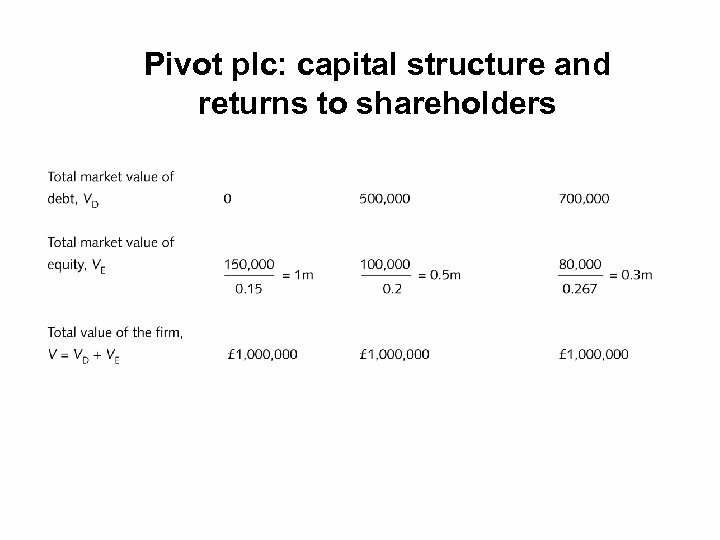 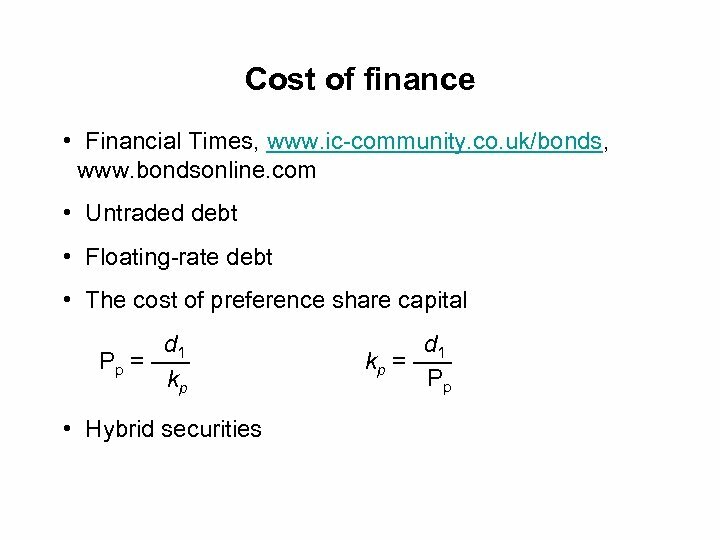 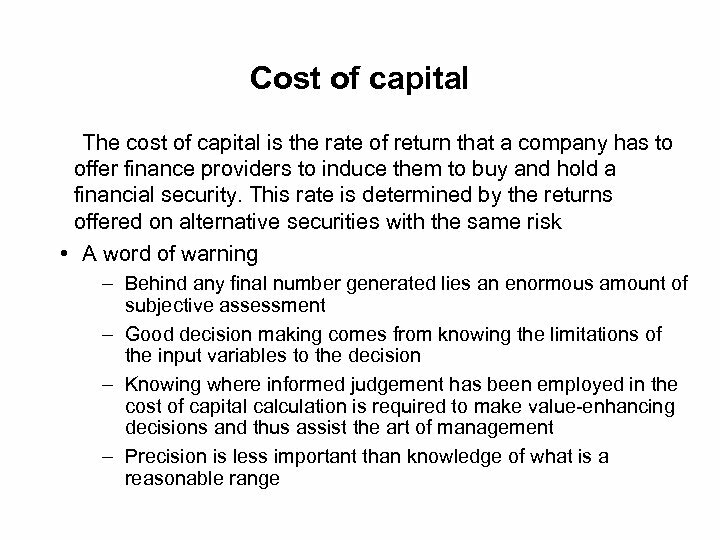 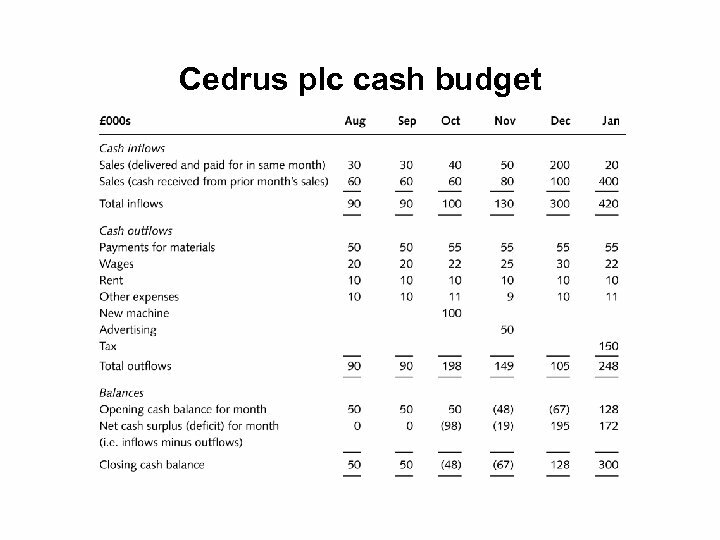 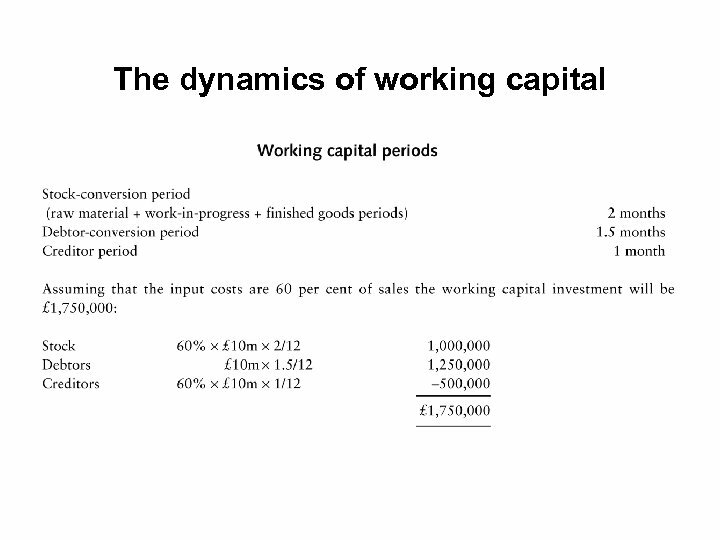 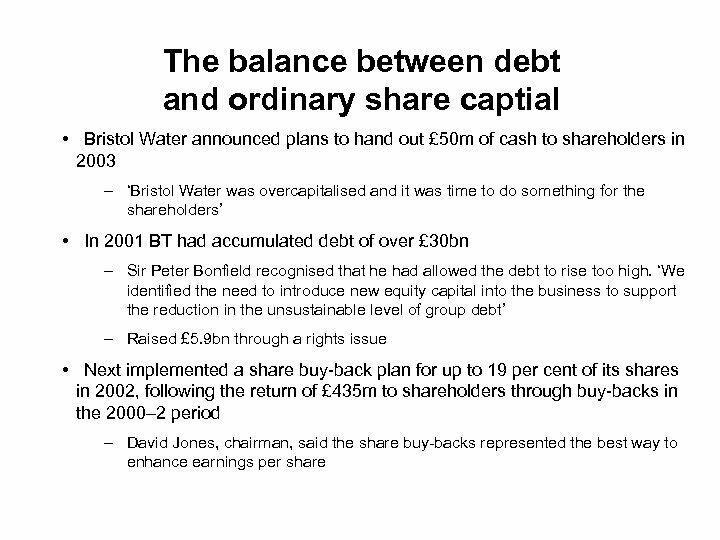 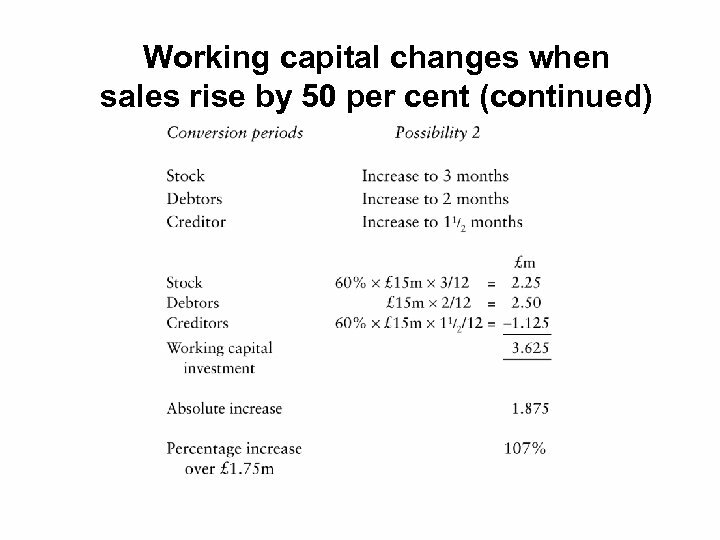 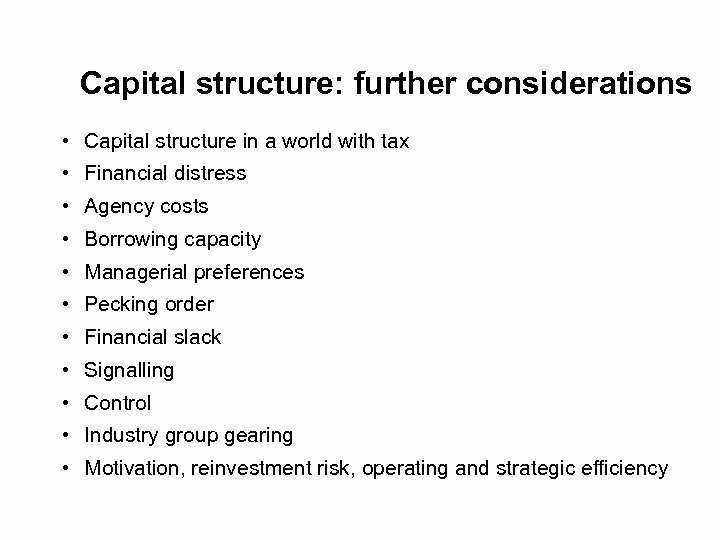 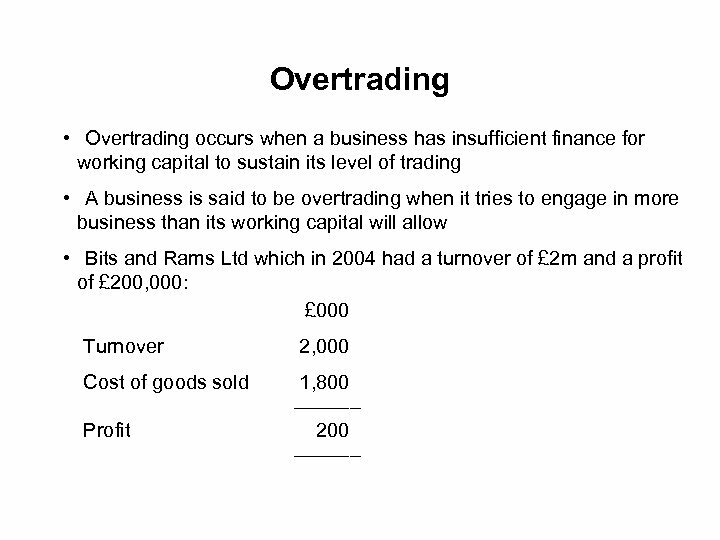 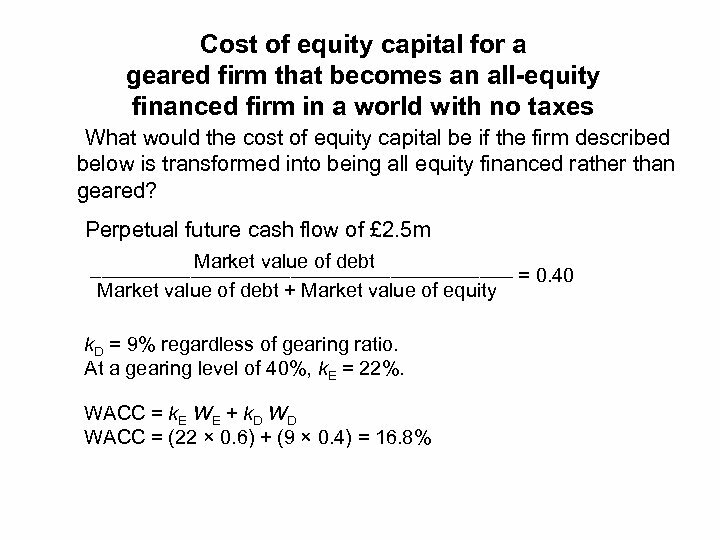 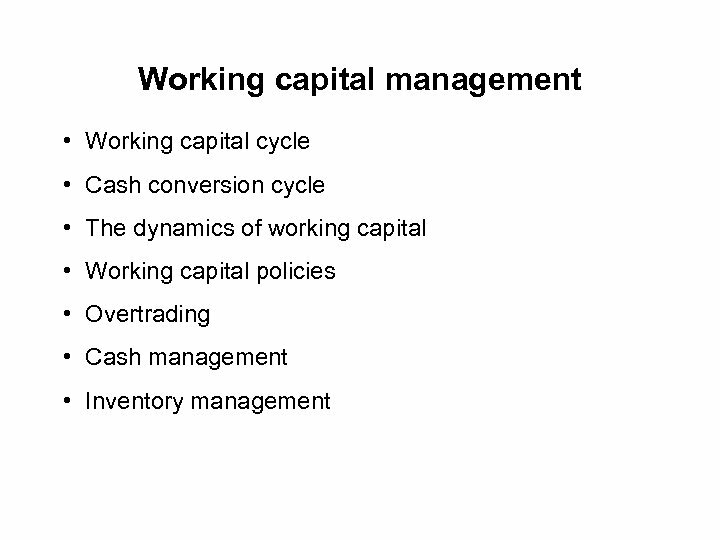 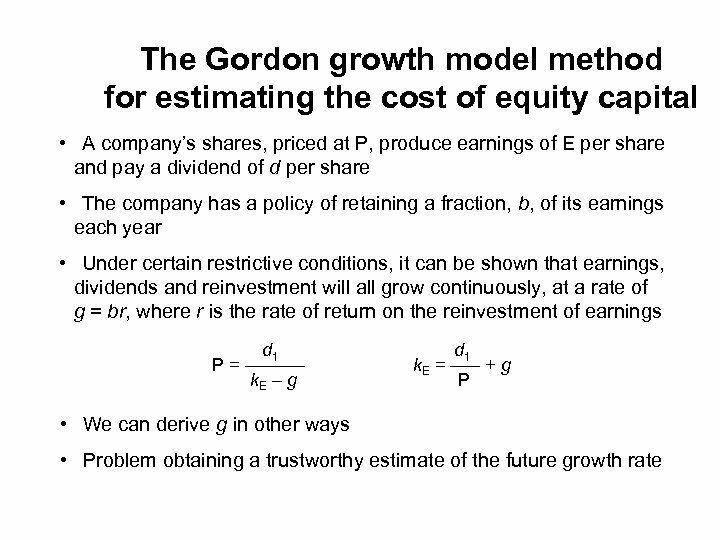 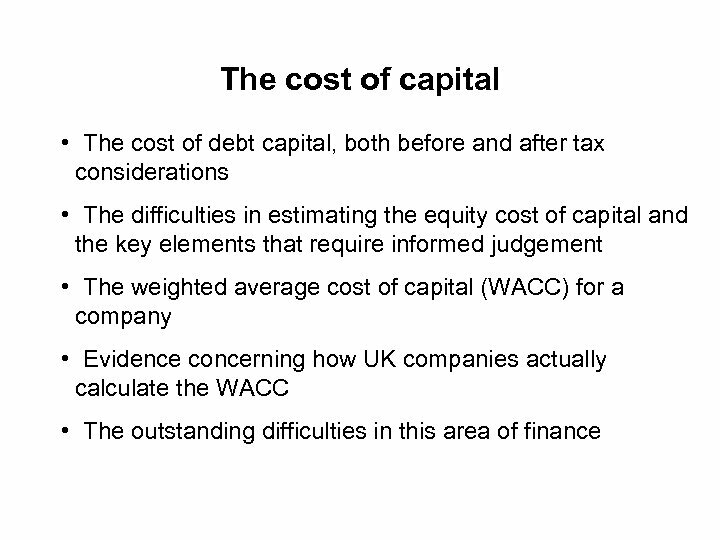 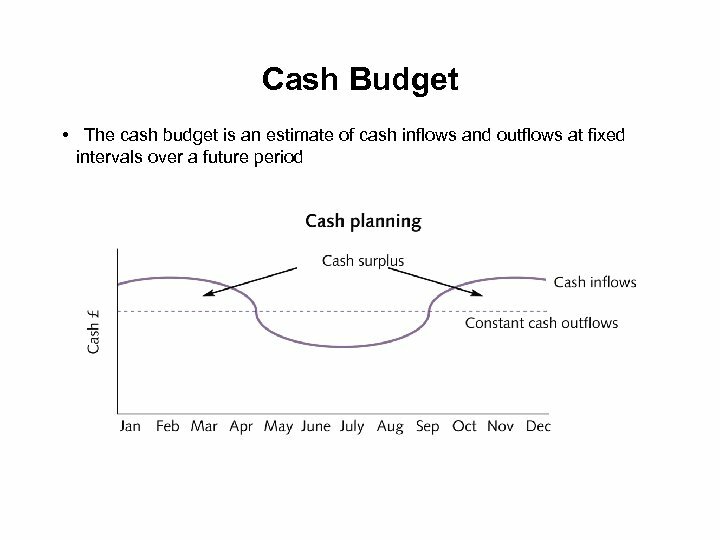 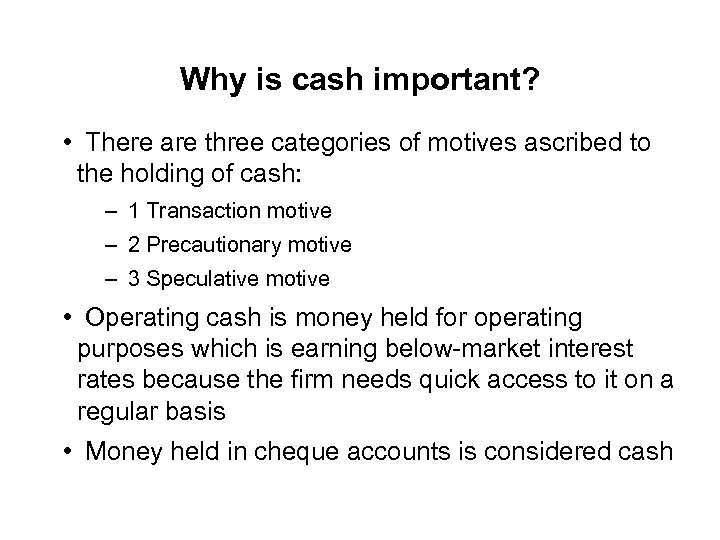 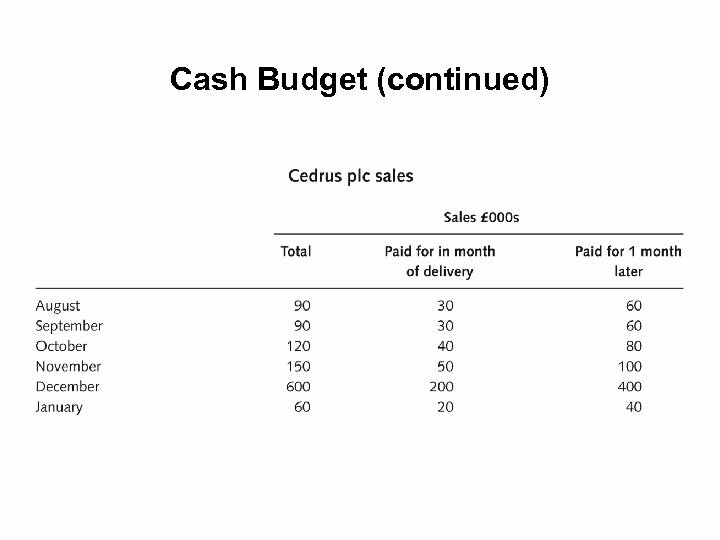 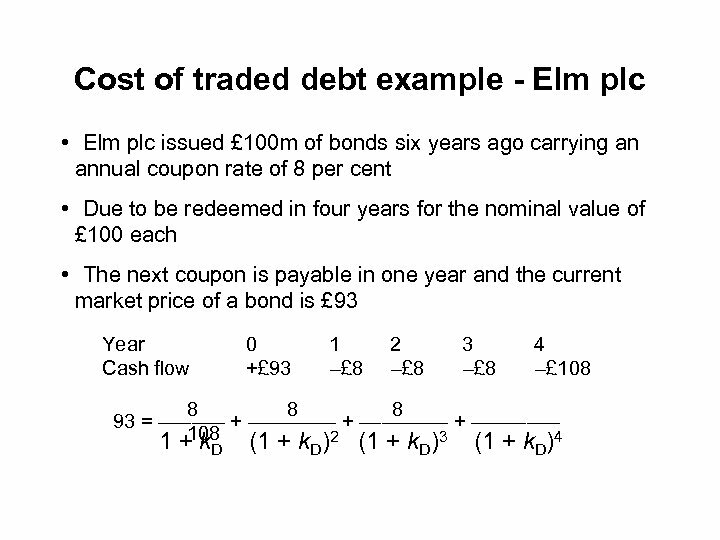 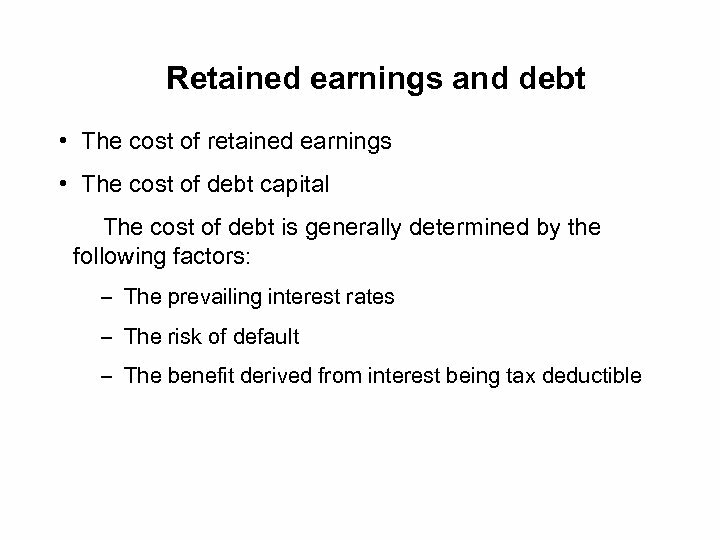 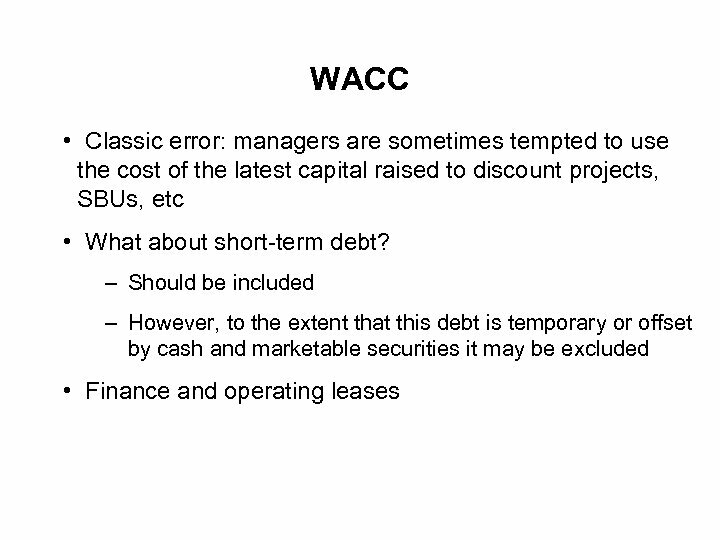 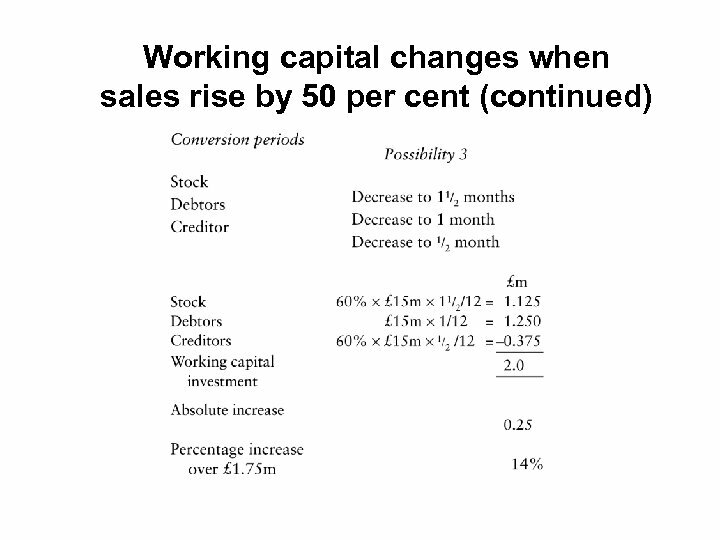 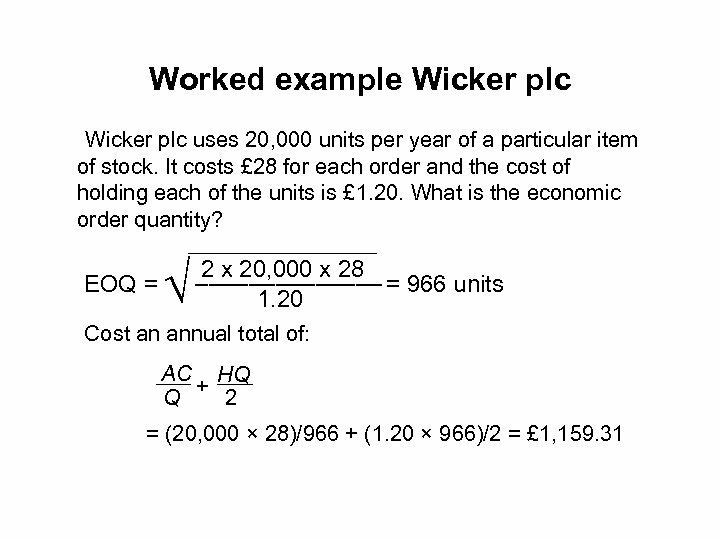 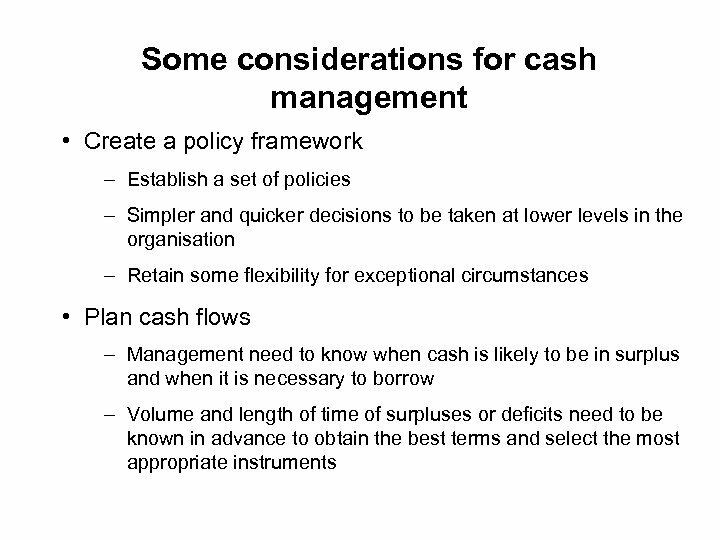 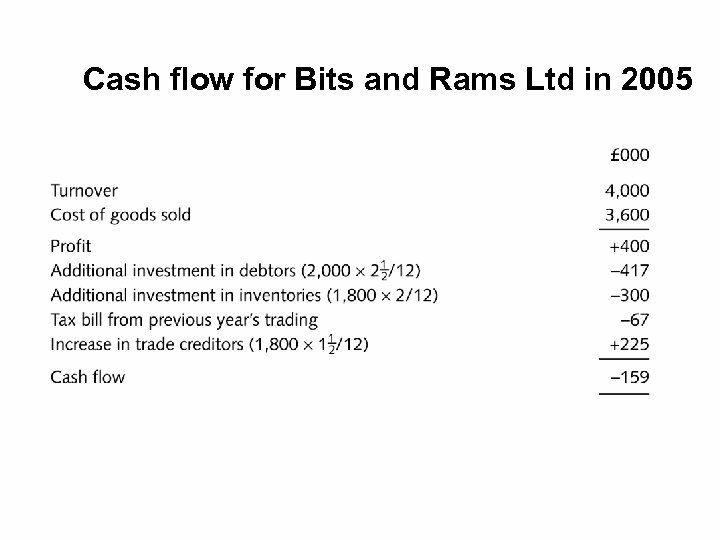 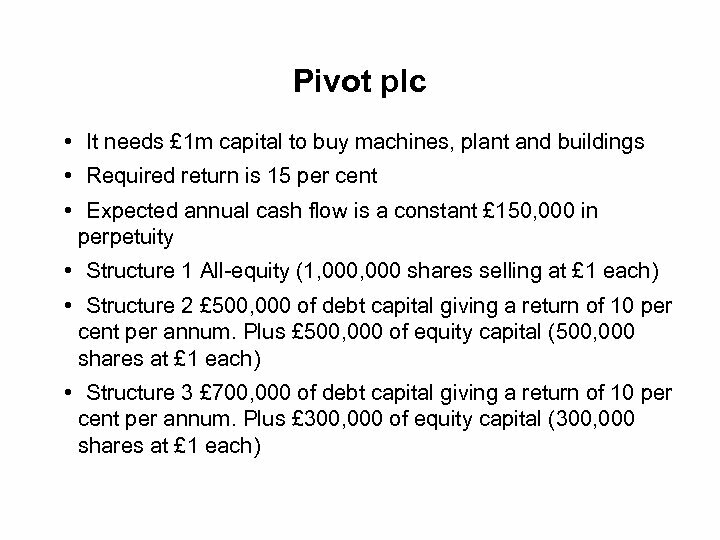 If the weighted average cost of capital is used, then how are the weights defined? 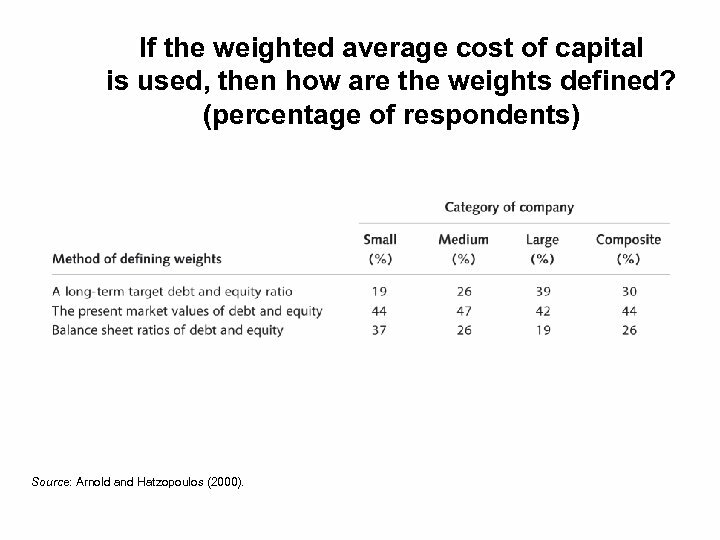 (percentage of respondents) Source: Arnold and Hatzopoulos (2000). 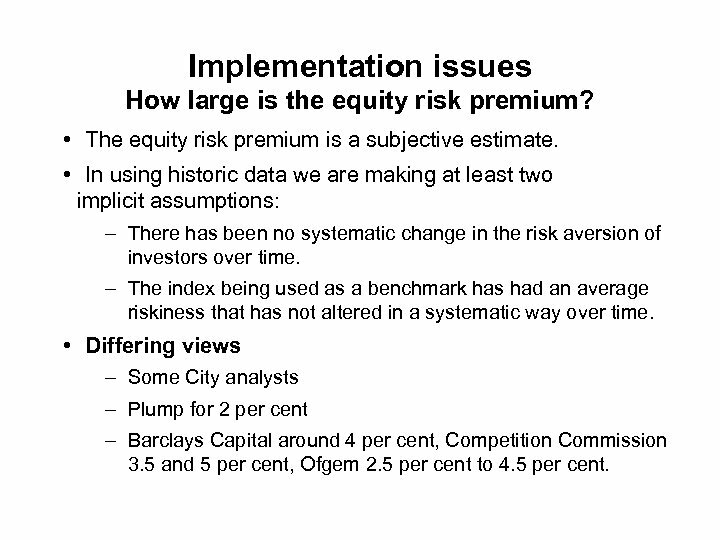 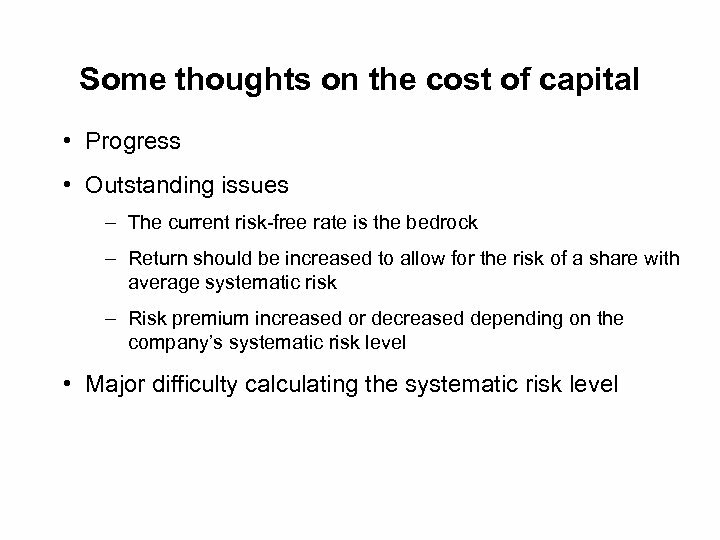 Implementation issues How large is the equity risk premium? 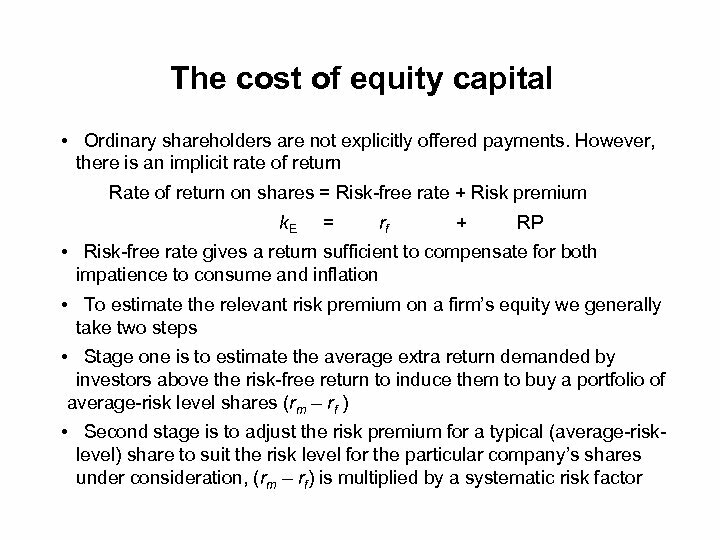 • The equity risk premium is a subjective estimate. 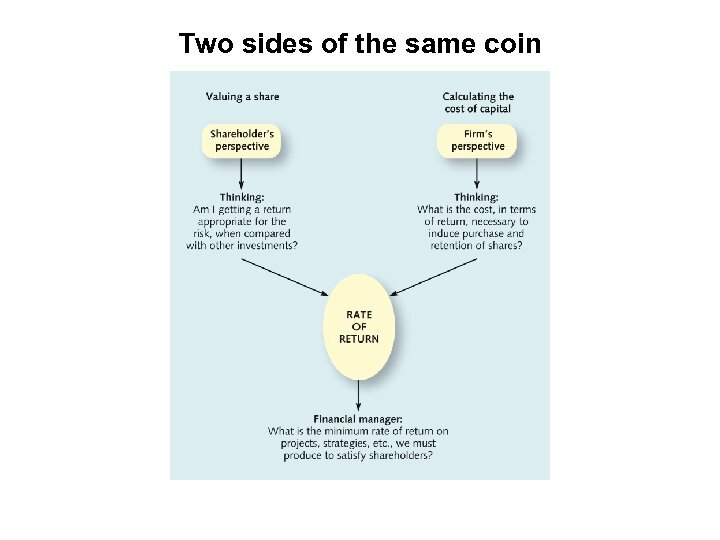 • In using historic data we are making at least two implicit assumptions: – There has been no systematic change in the risk aversion of investors over time. 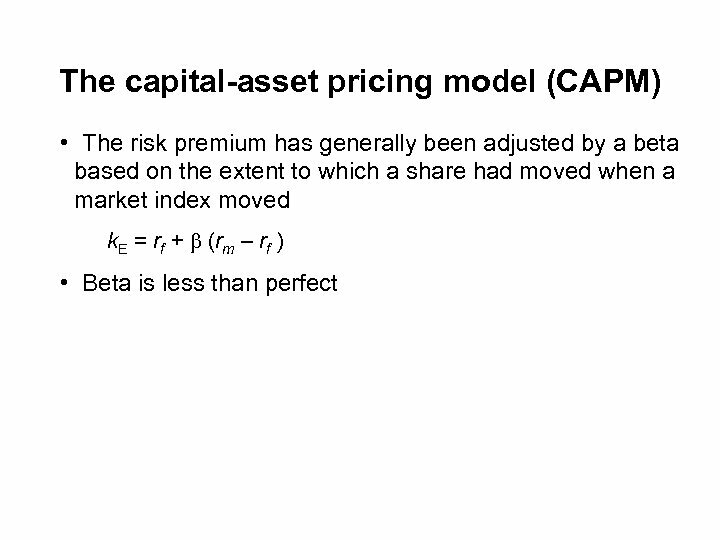 – The index being used as a benchmark has had an average riskiness that has not altered in a systematic way over time. 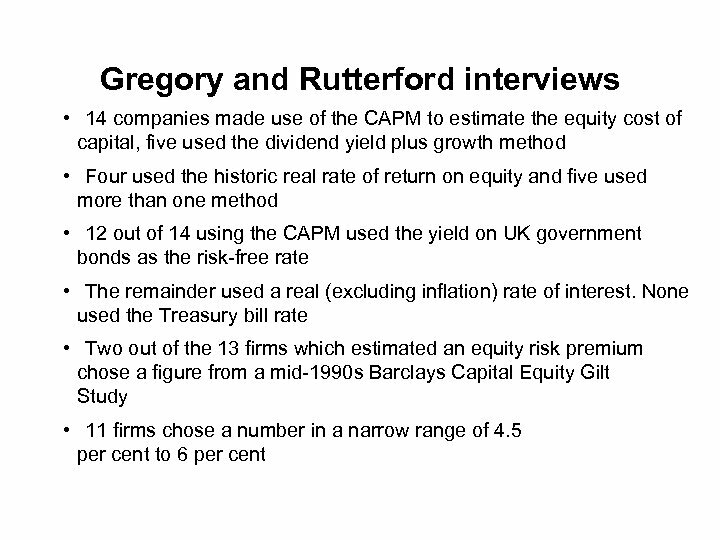 • Differing views – Some City analysts – Plump for 2 per cent – Barclays Capital around 4 per cent, Competition Commission 3. 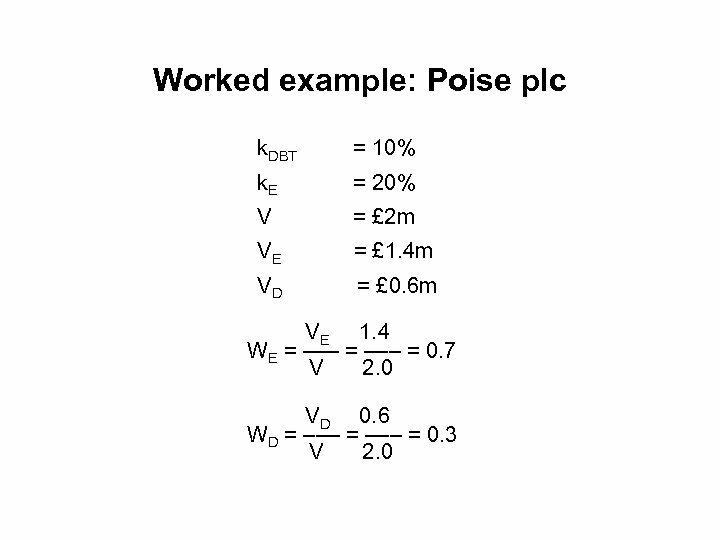 5 and 5 per cent, Ofgem 2. 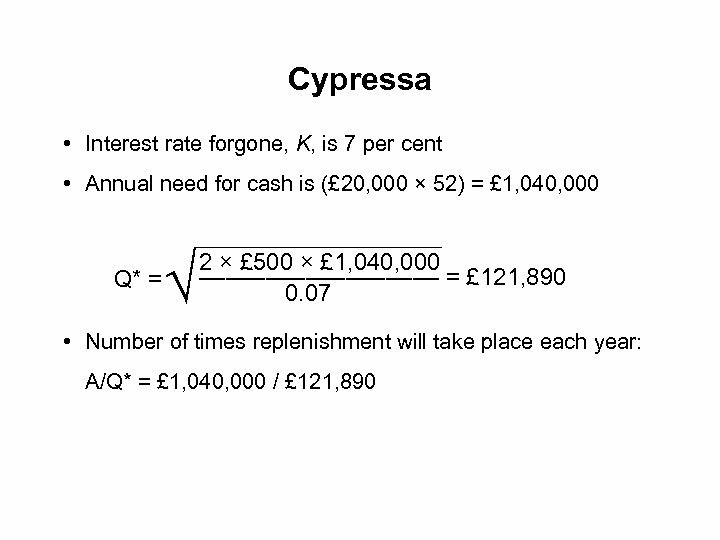 5 per cent to 4. 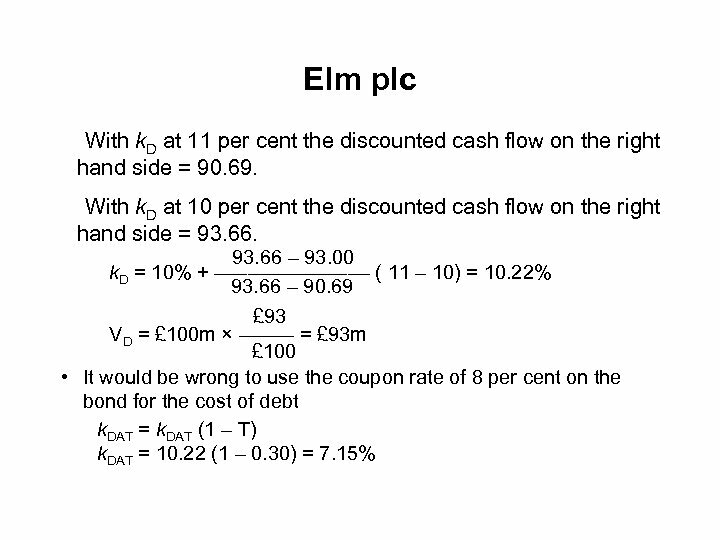 5 per cent. 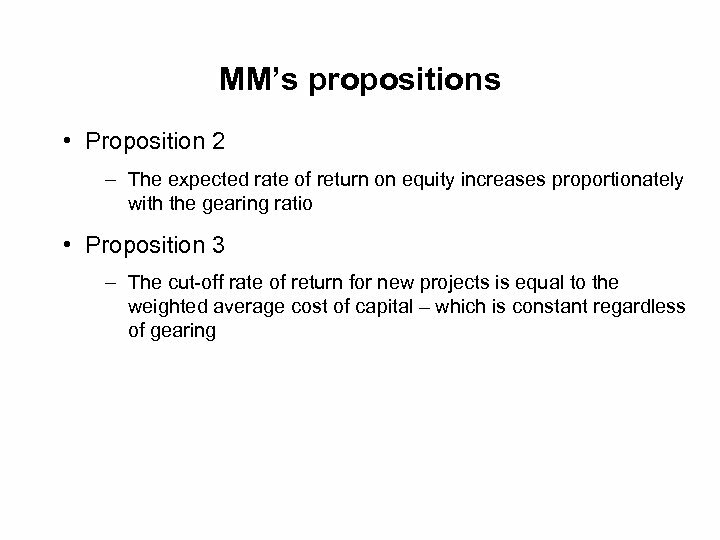 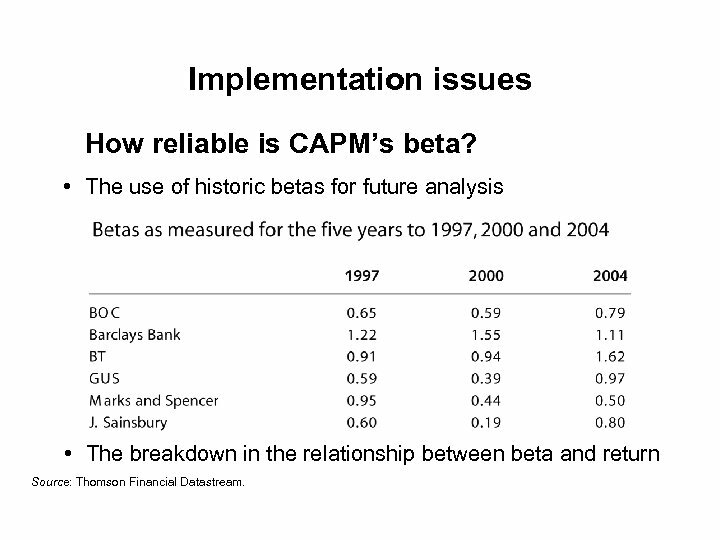 Implementation issues How reliable is CAPM’s beta? 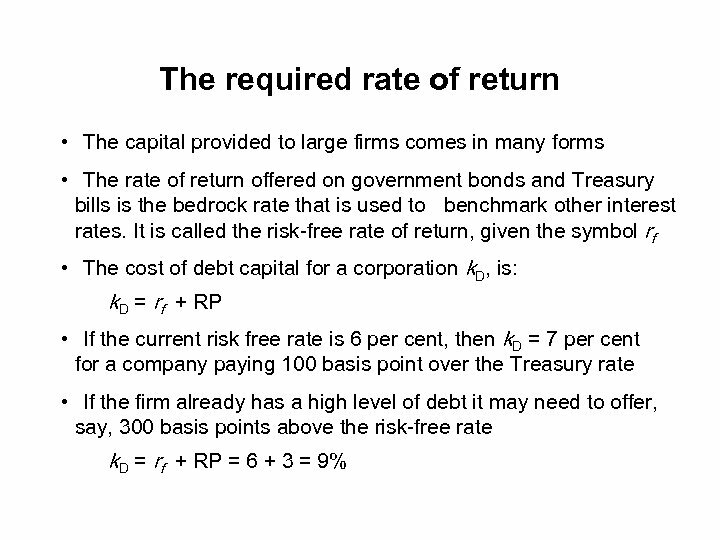 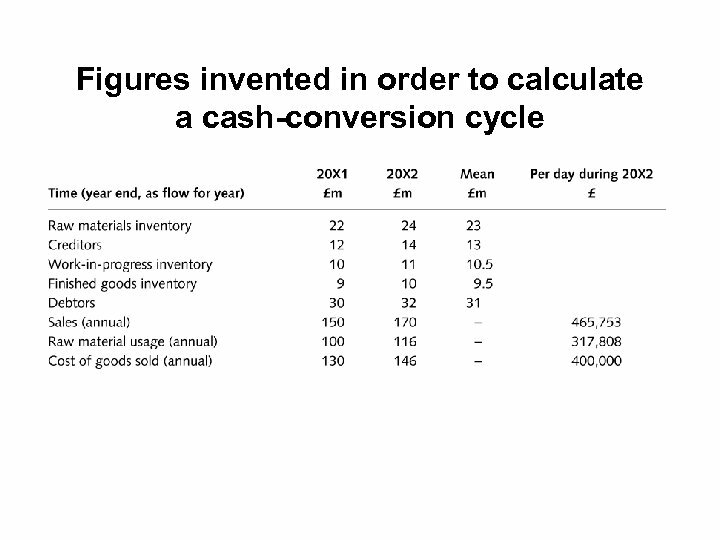 • The use of historic betas for future analysis • The breakdown in the relationship between beta and return Source: Thomson Financial Datastream. 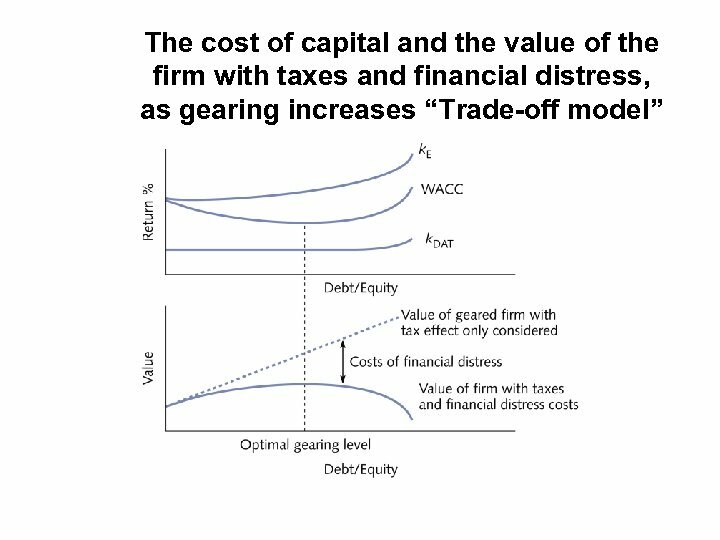 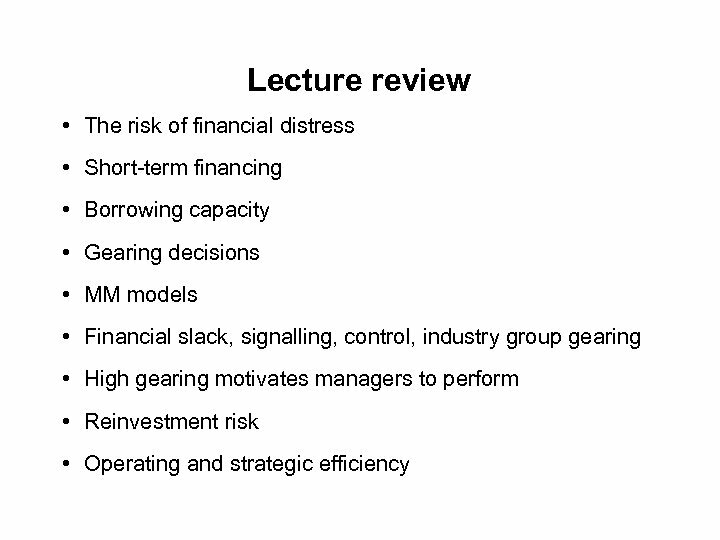 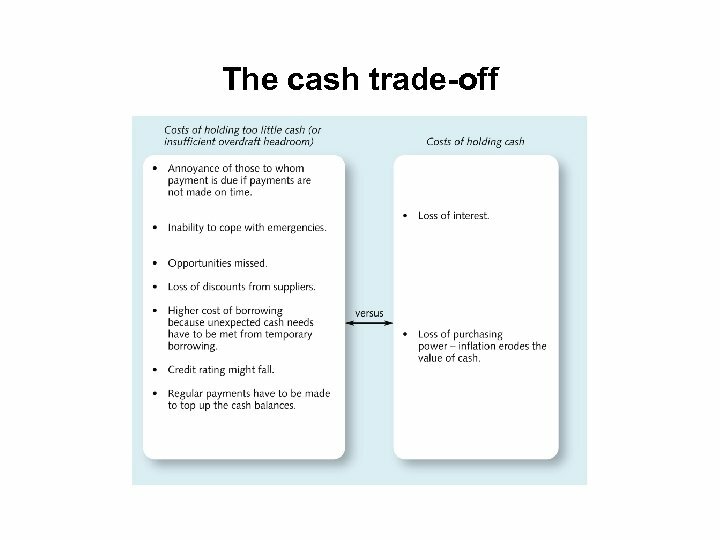 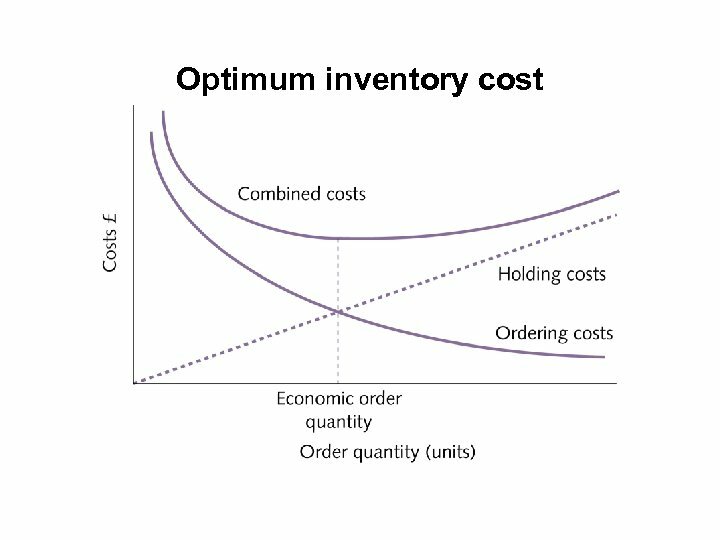 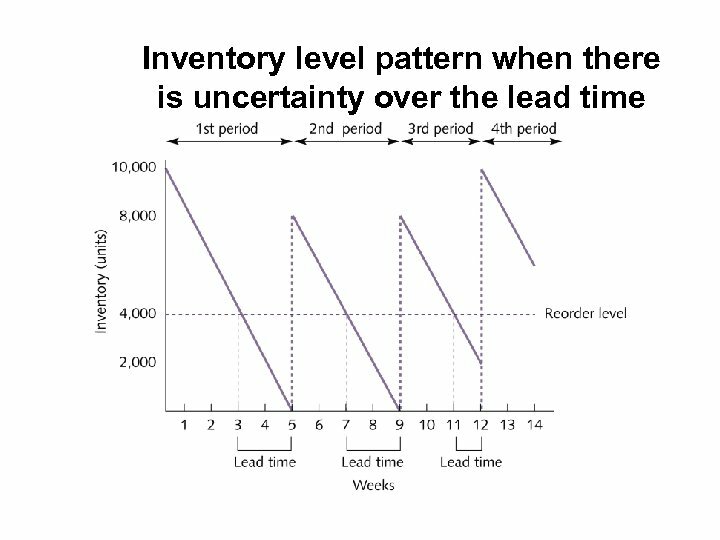 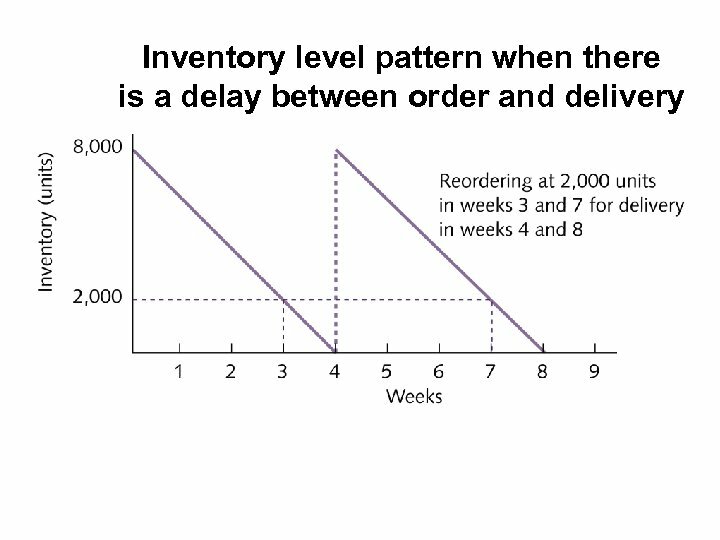 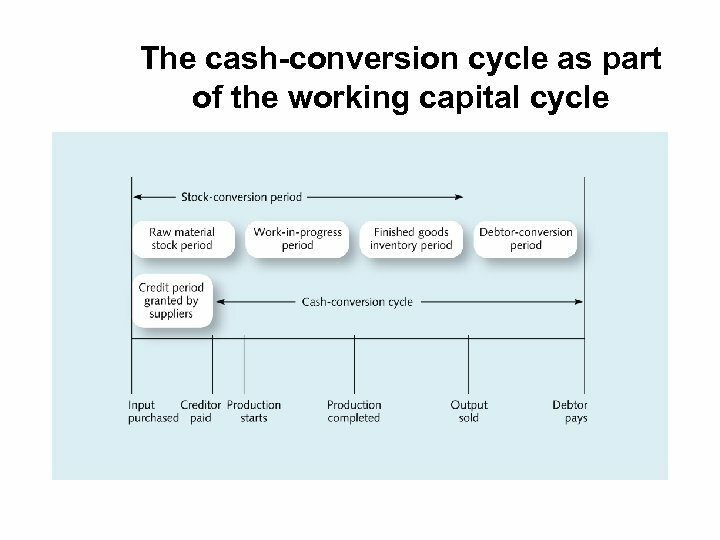 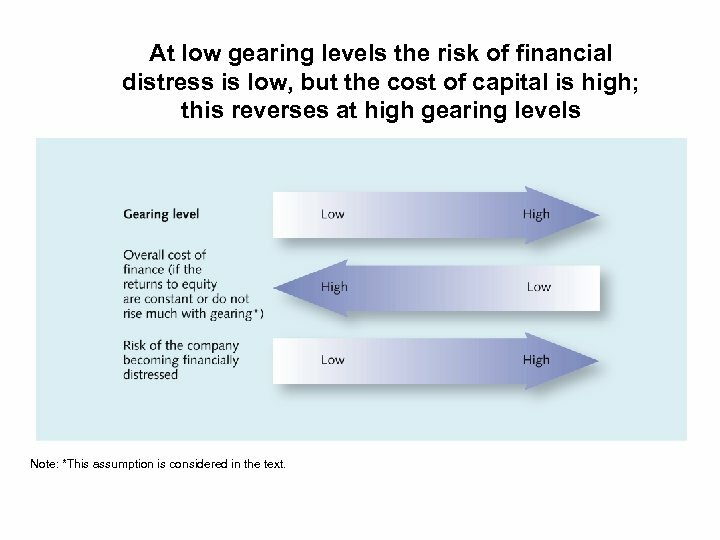 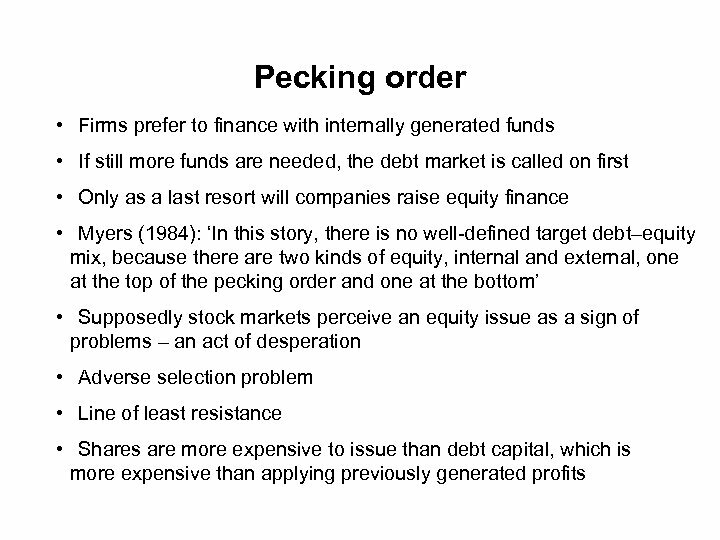 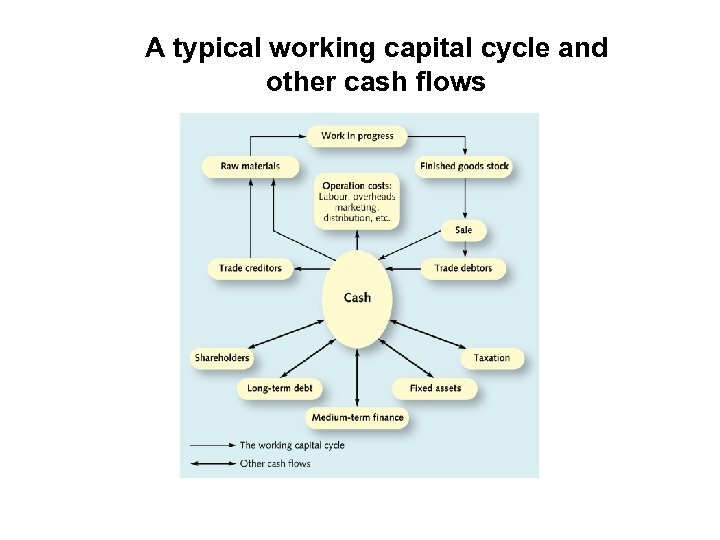 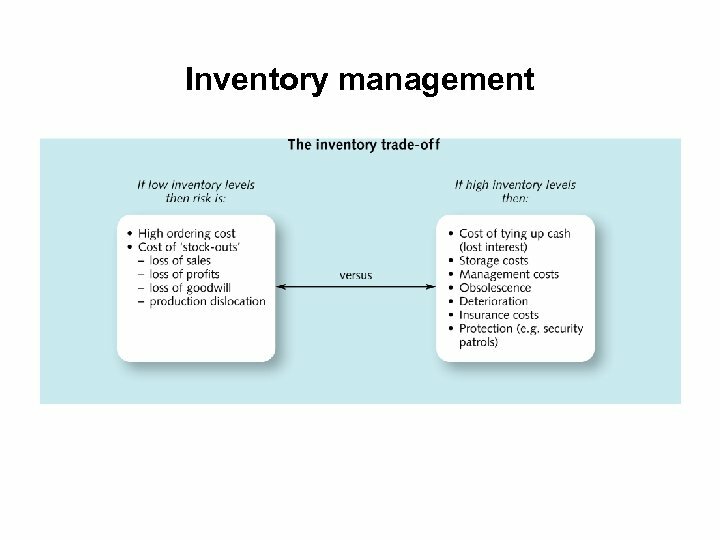 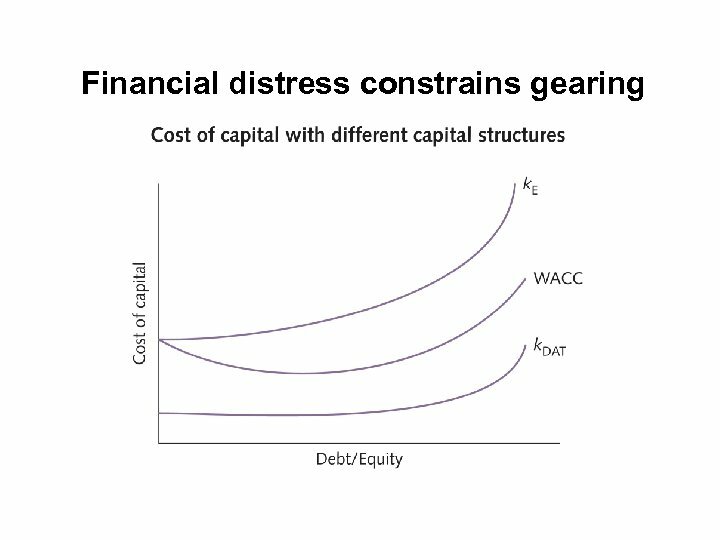 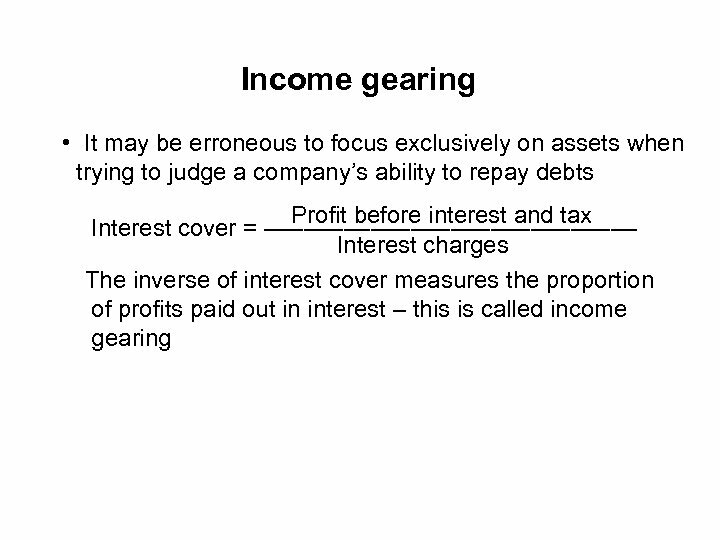 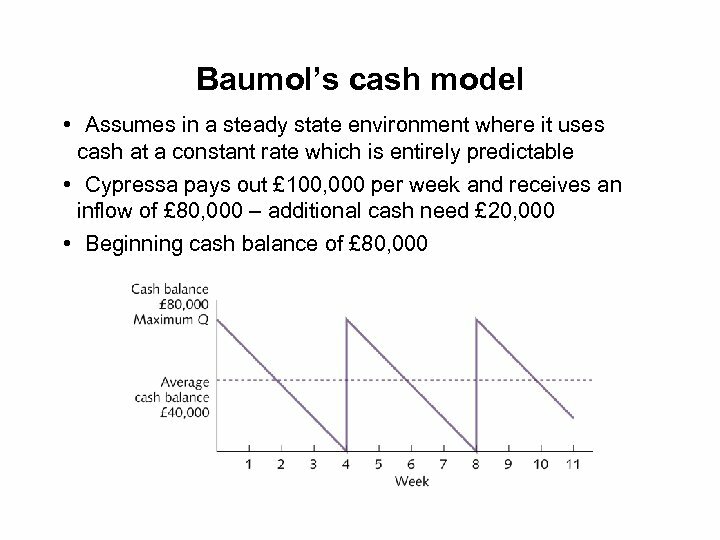 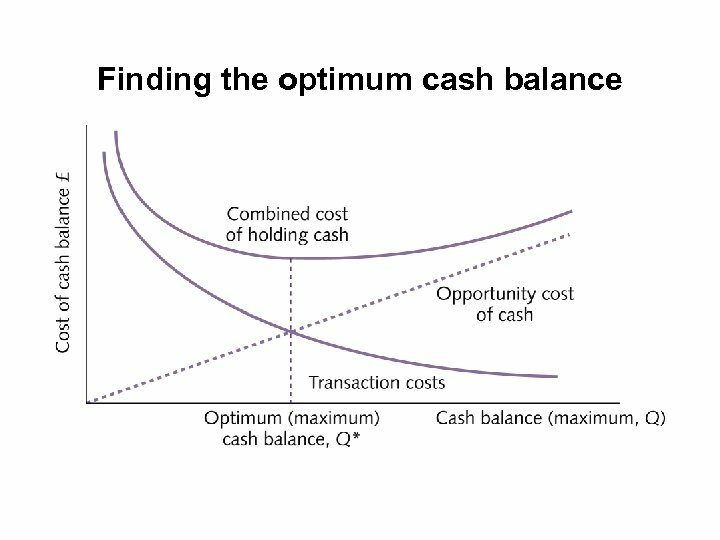 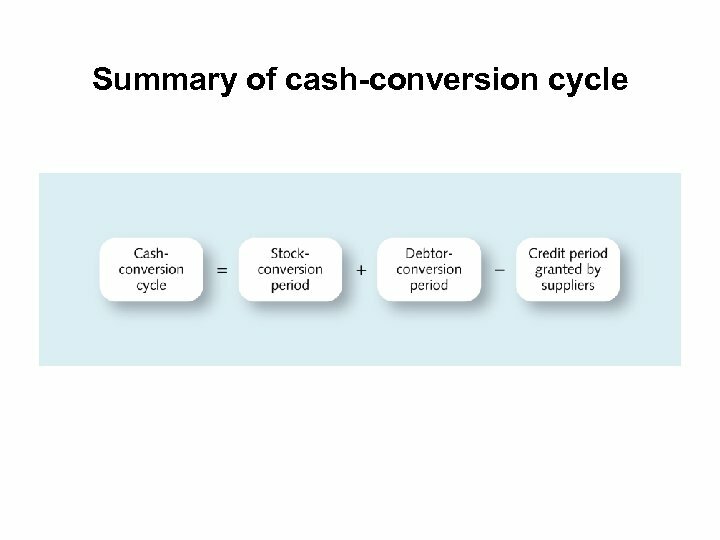 At low gearing levels the risk of financial distress is low, but the cost of capital is high; this reverses at high gearing levels Note: *This assumption is considered in the text. 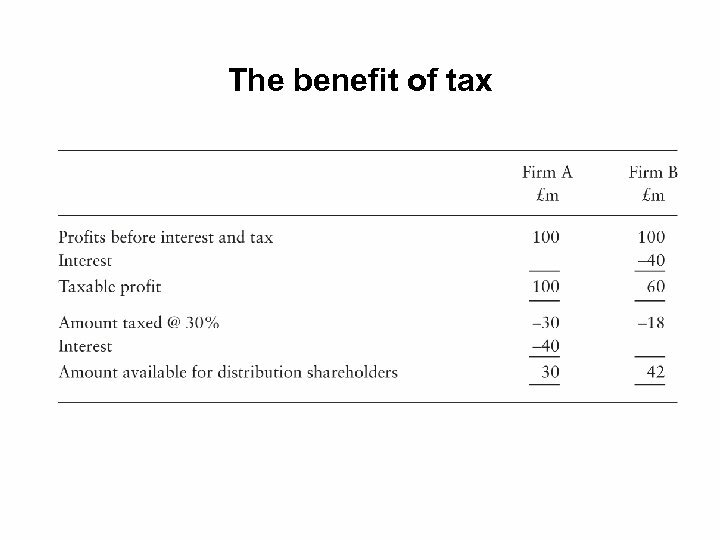 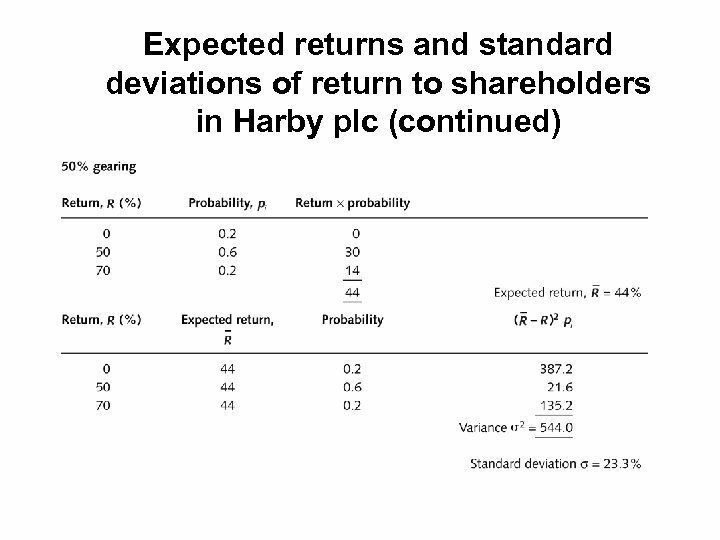 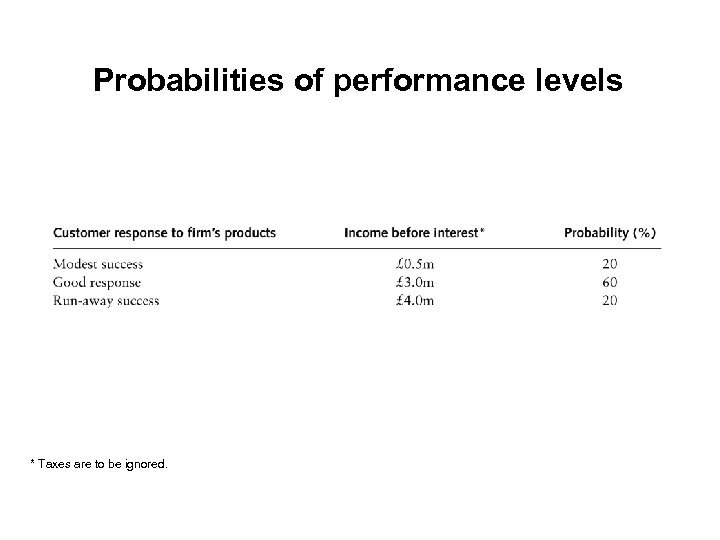 Probabilities of performance levels * Taxes are to be ignored. 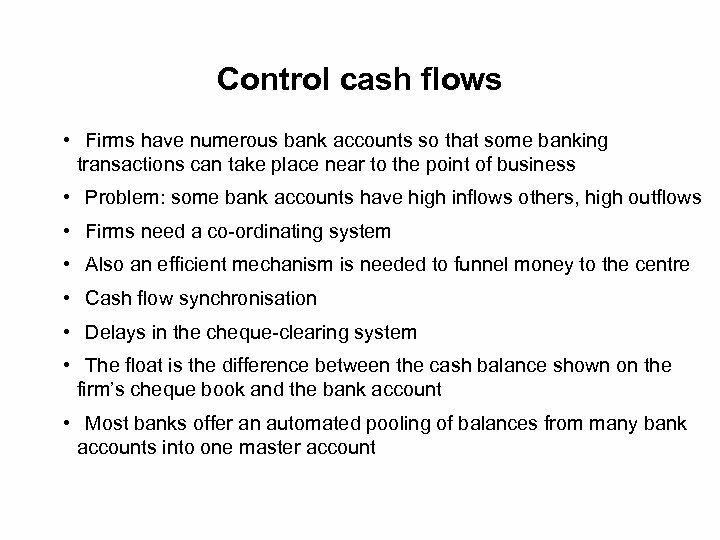 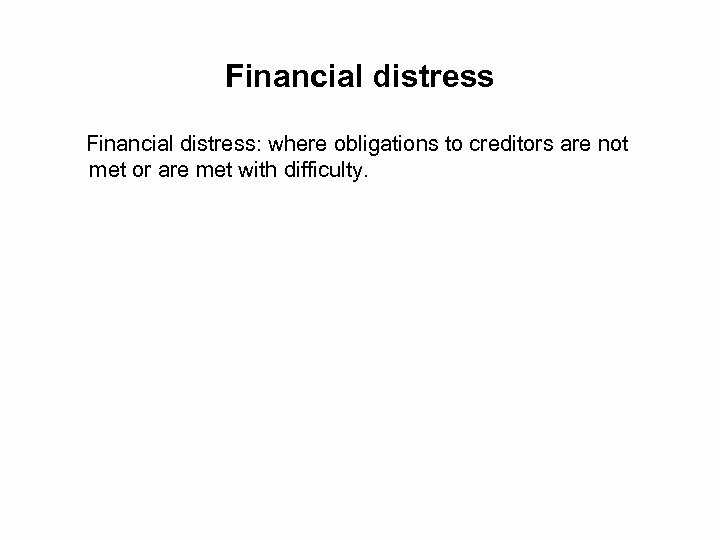 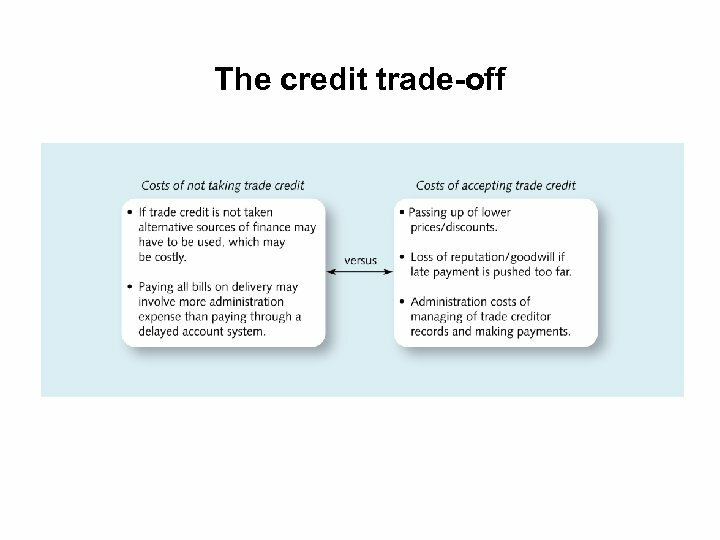 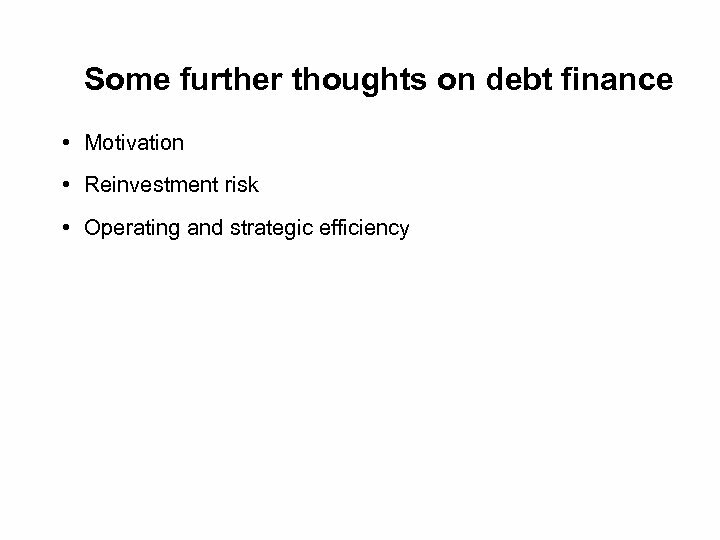 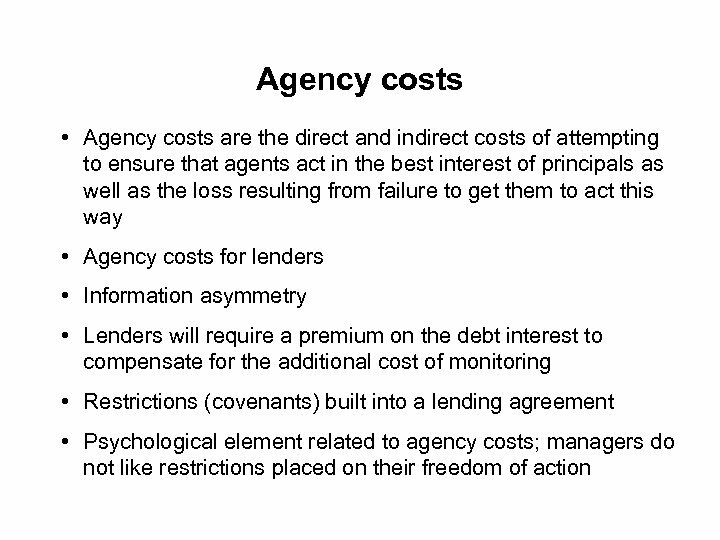 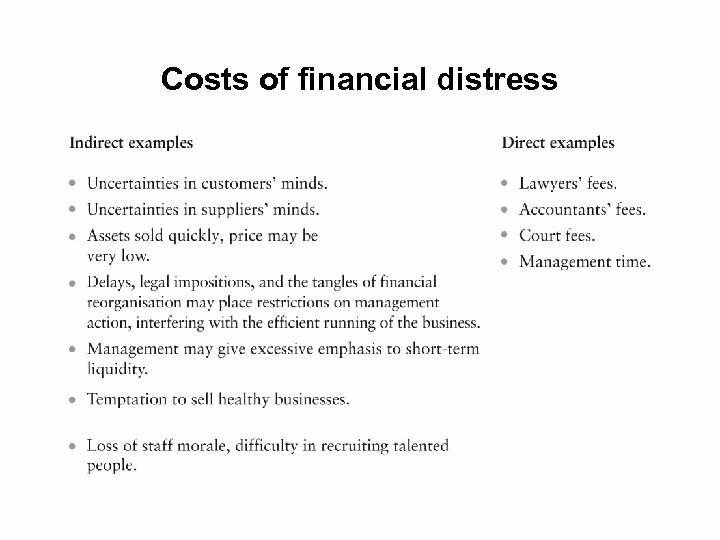 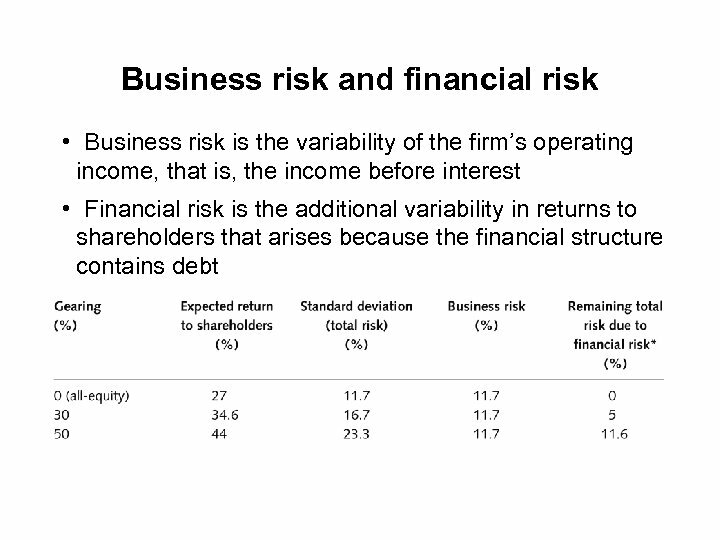 Financial distress: where obligations to creditors are not met or are met with difficulty.